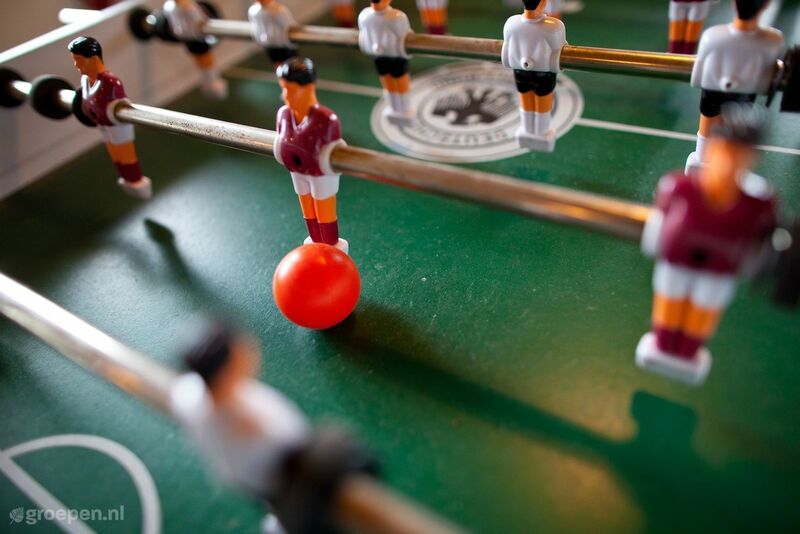 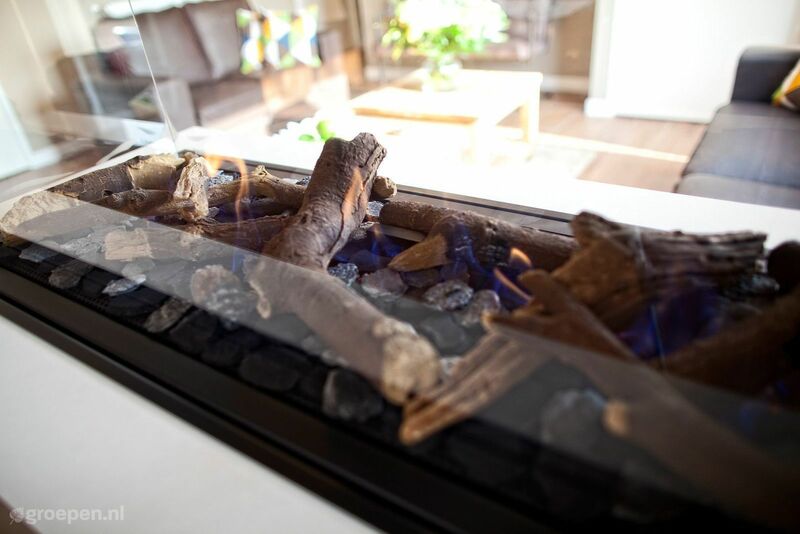 Looking for the ultimate holiday feeling? 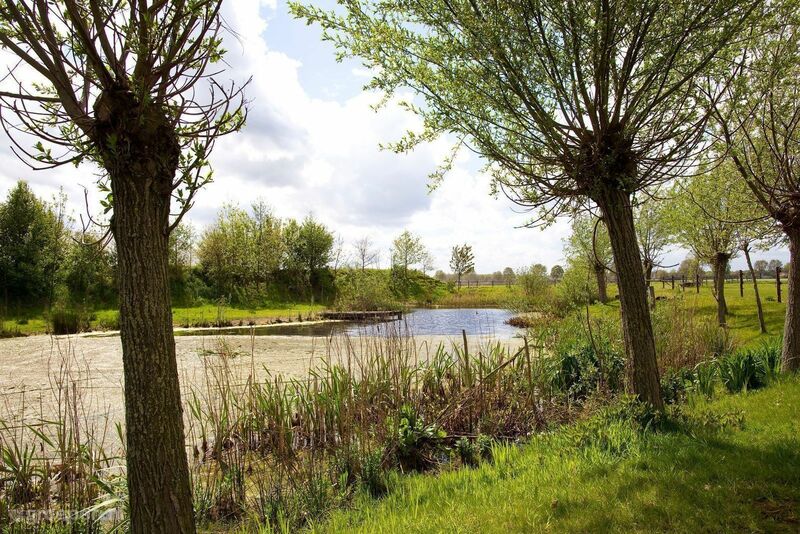 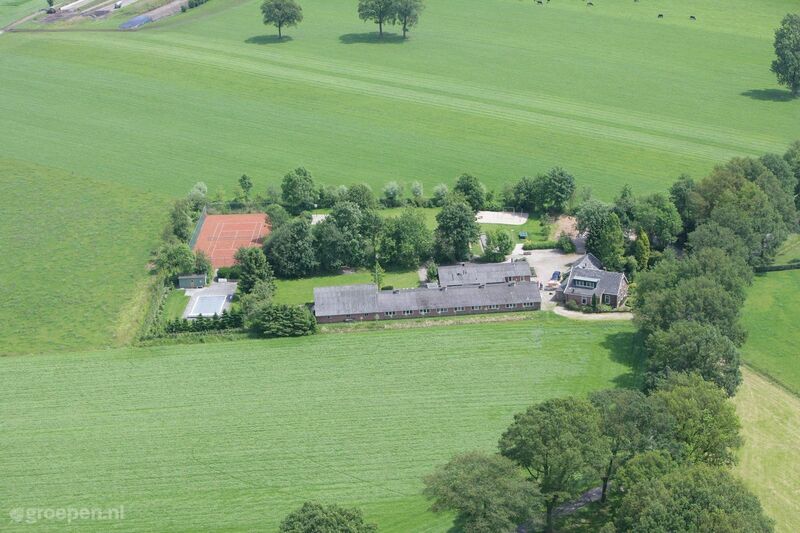 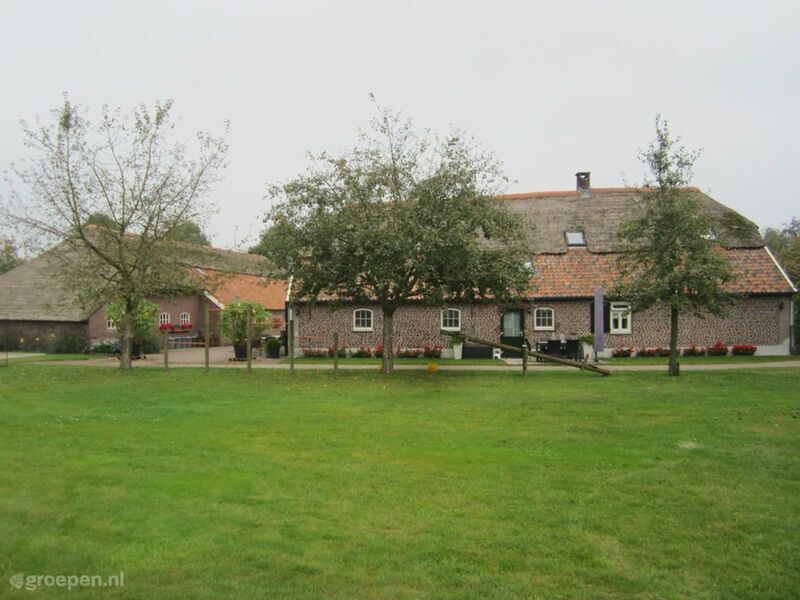 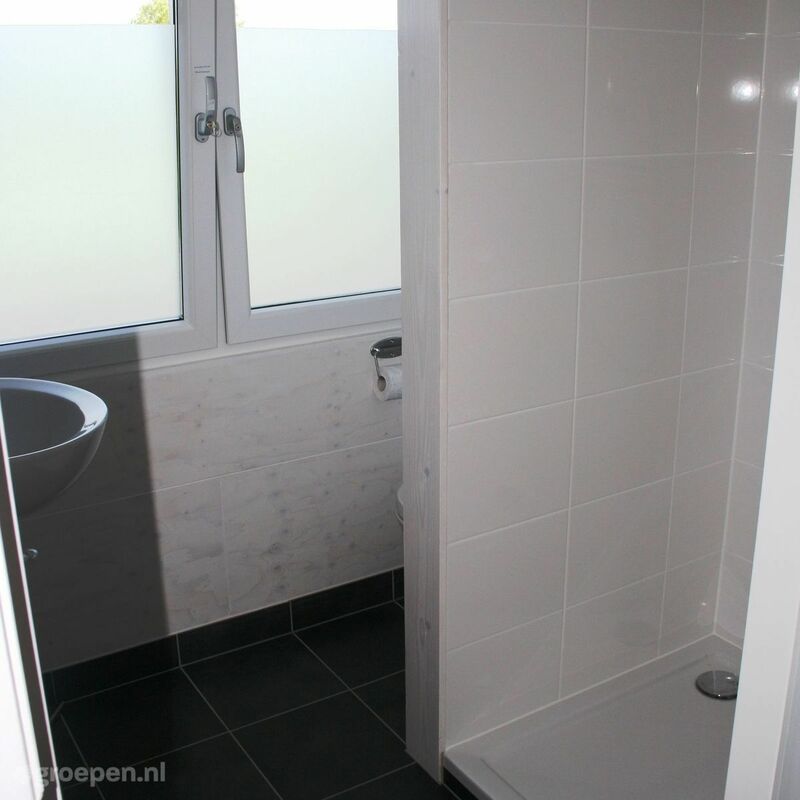 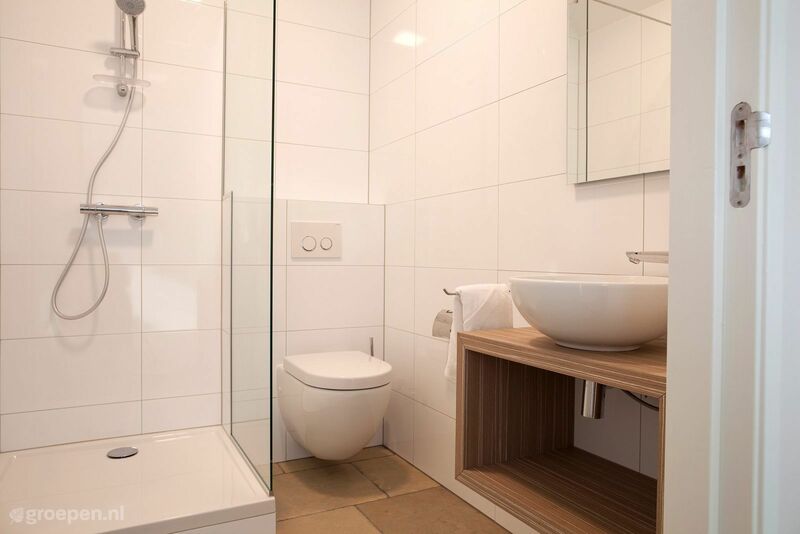 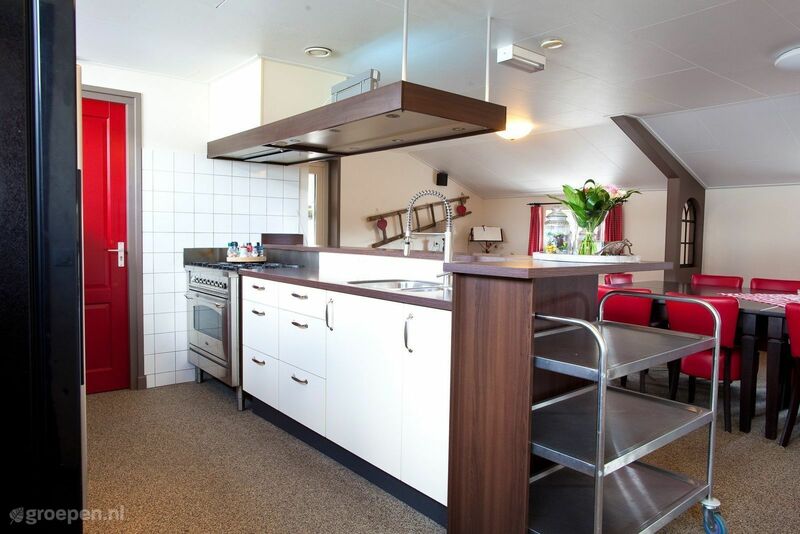 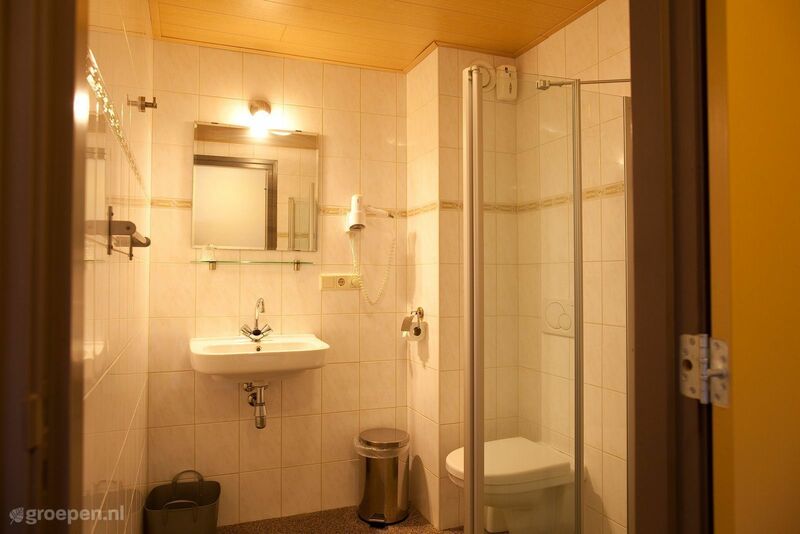 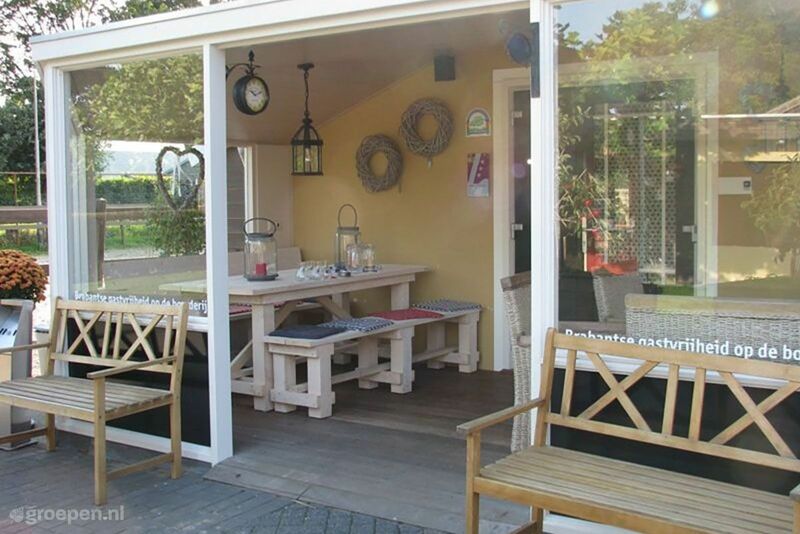 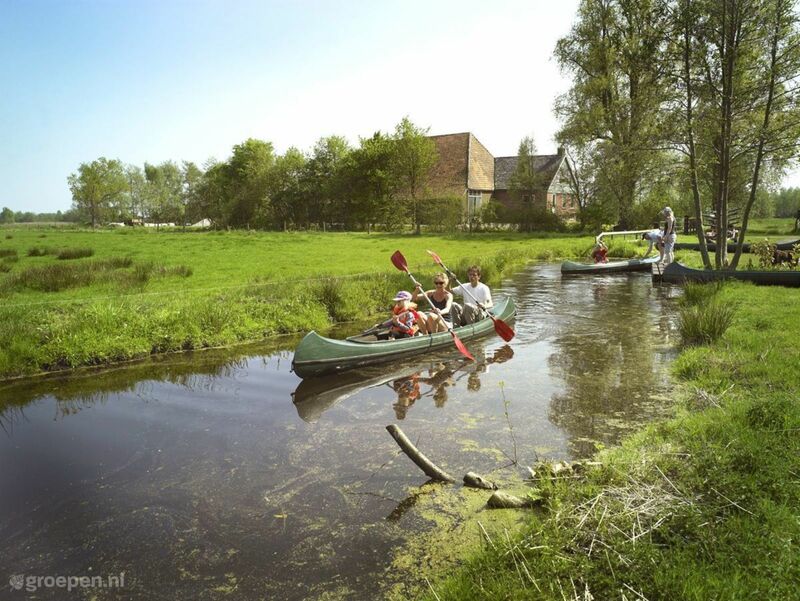 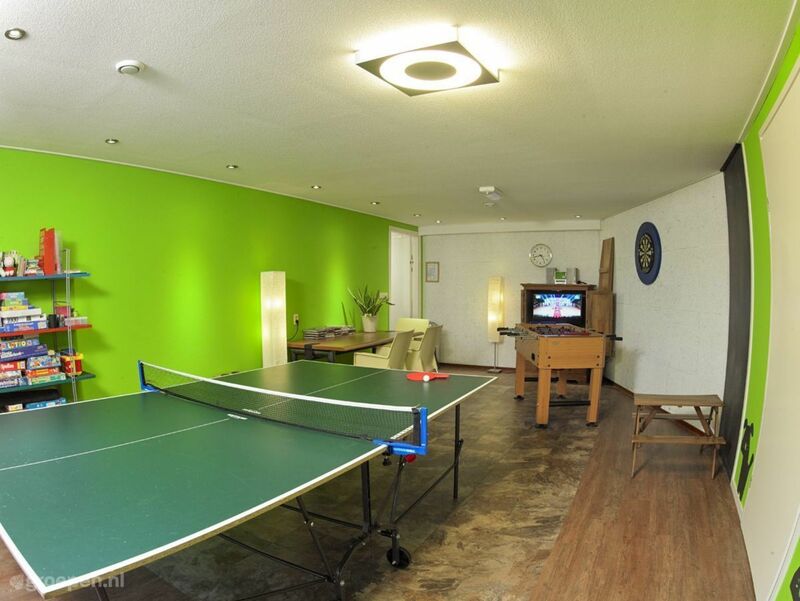 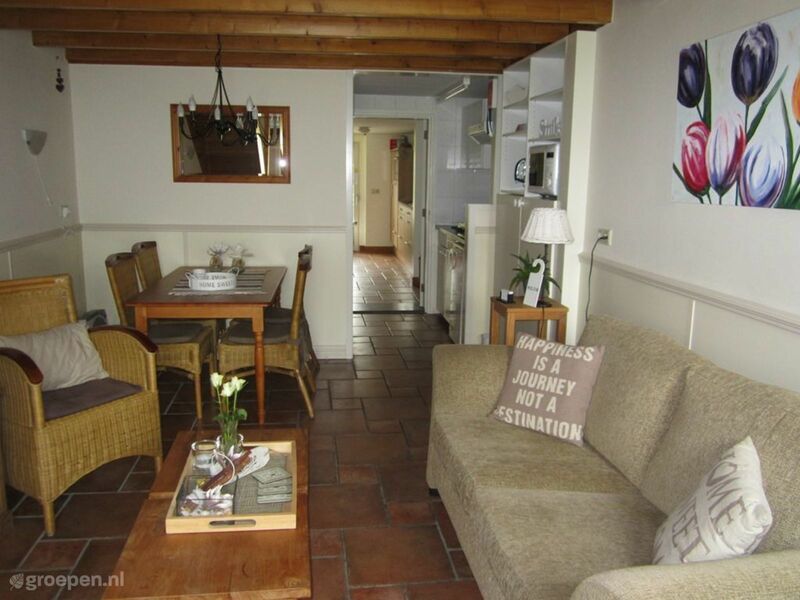 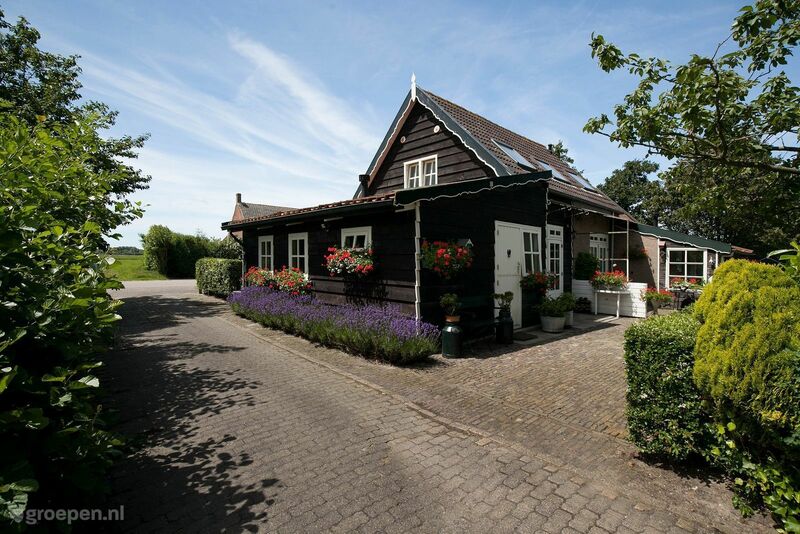 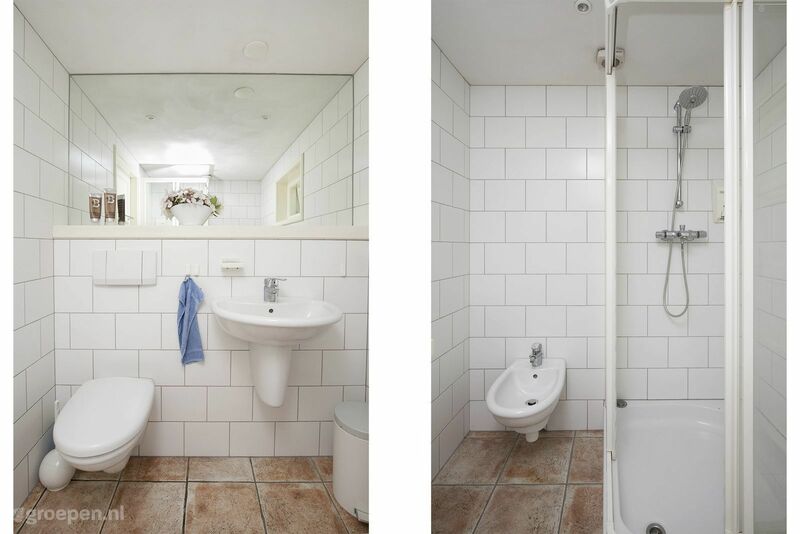 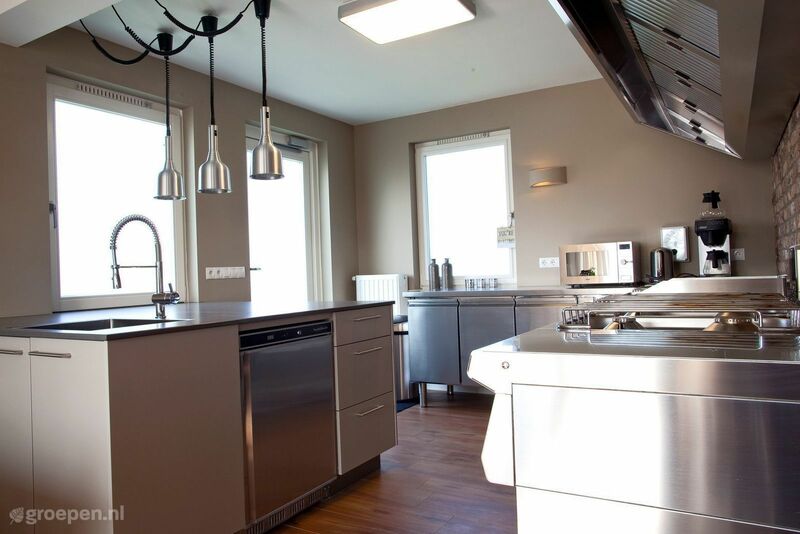 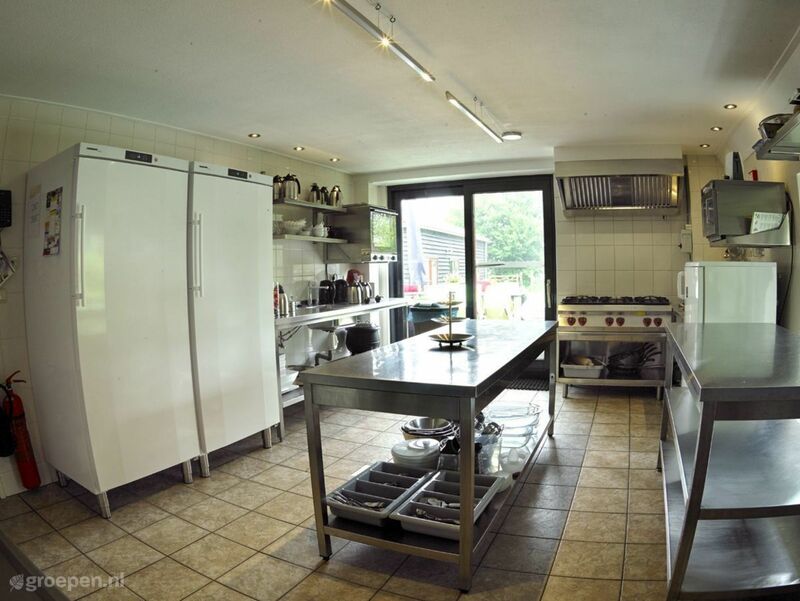 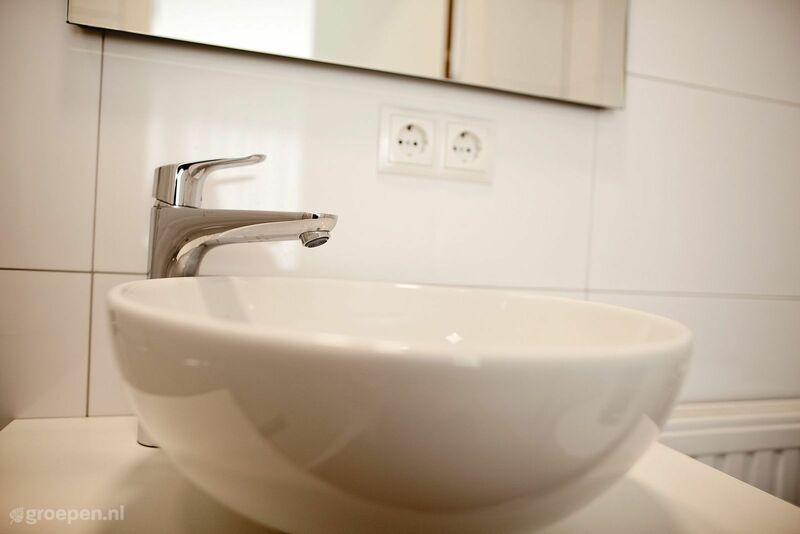 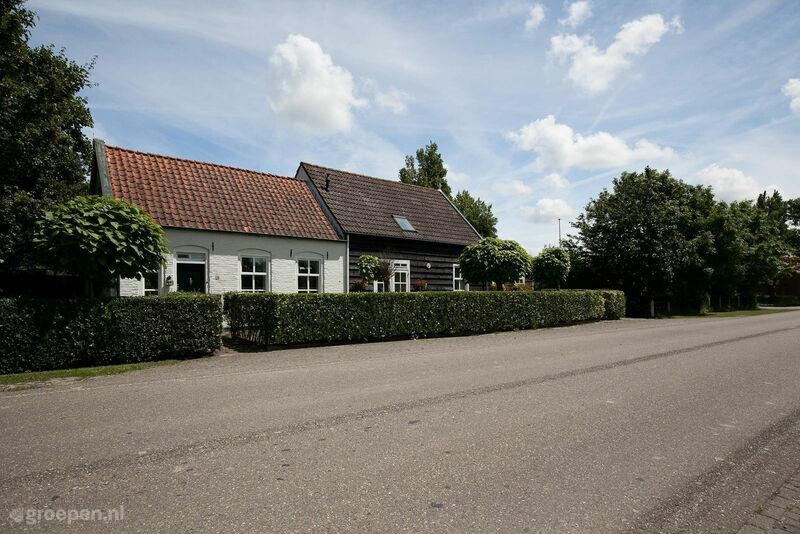 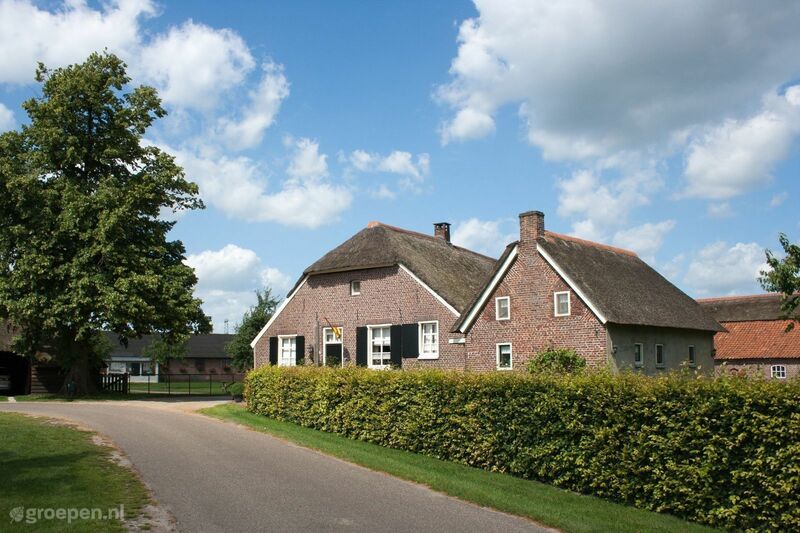 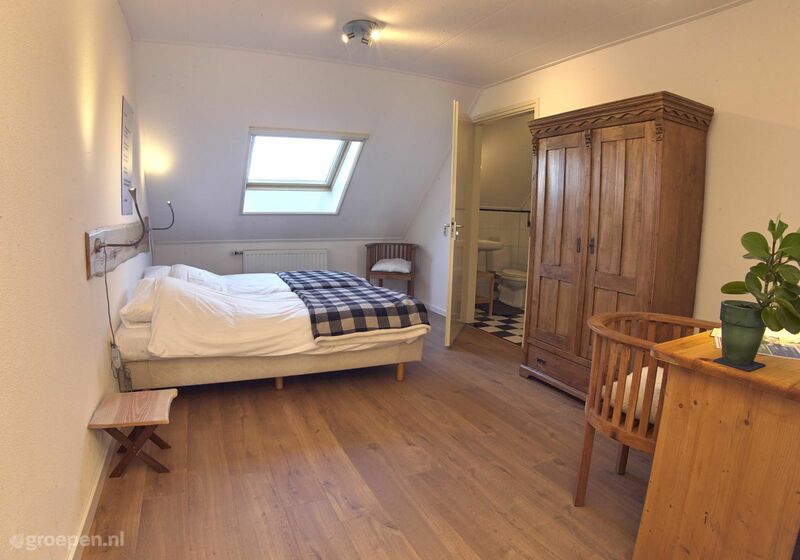 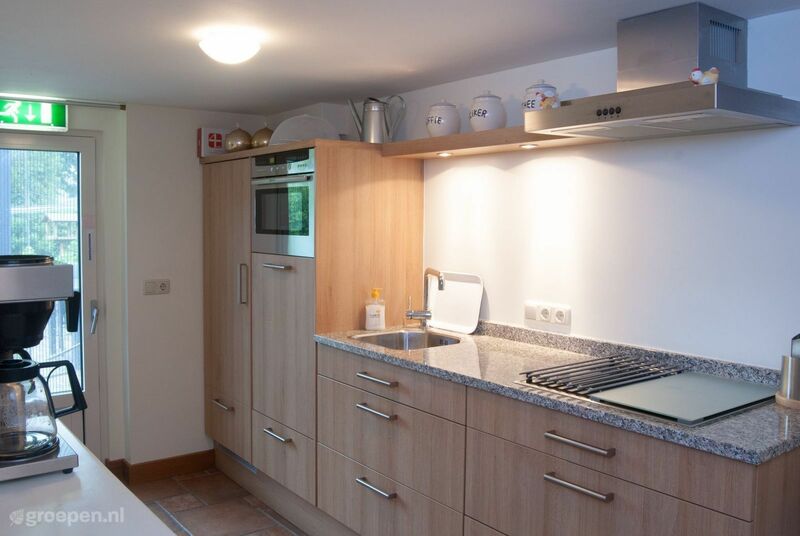 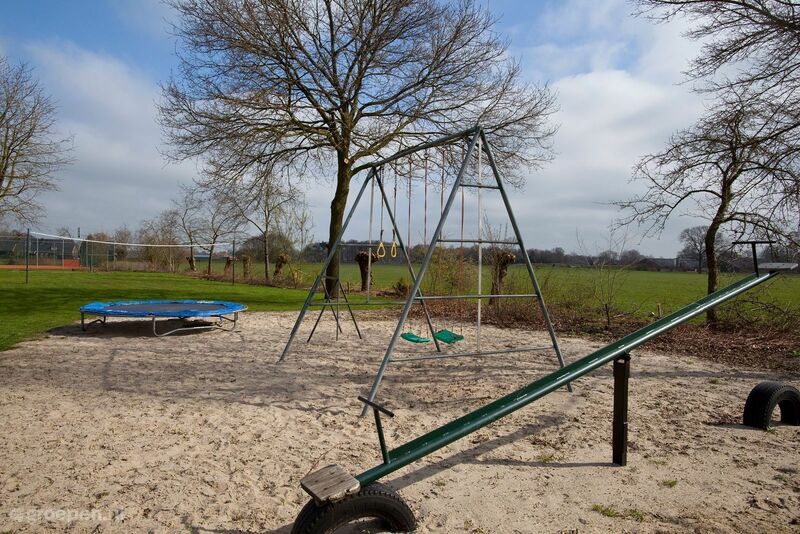 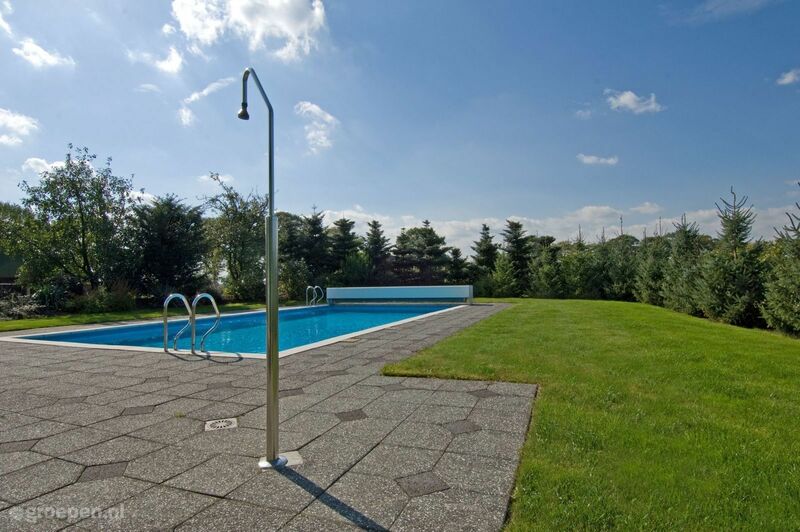 Go for a holiday home with private swimming pool in the Netherlands or Germany! 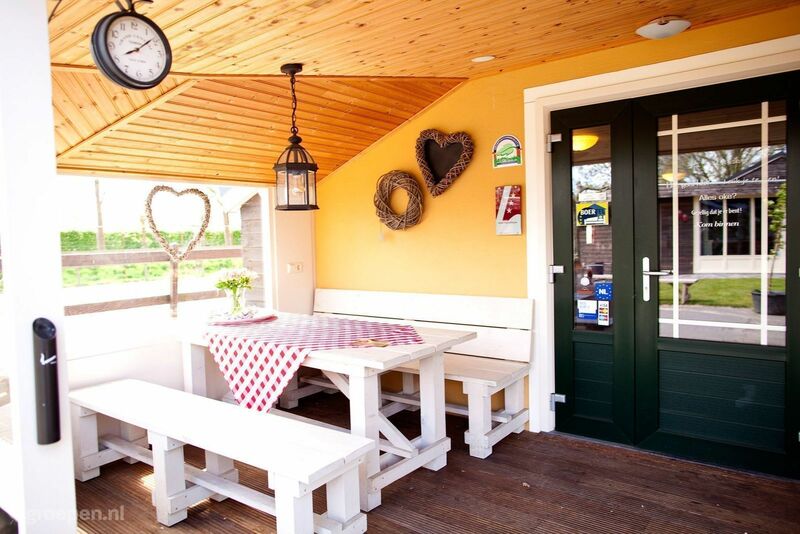 You can relax in the sun here. 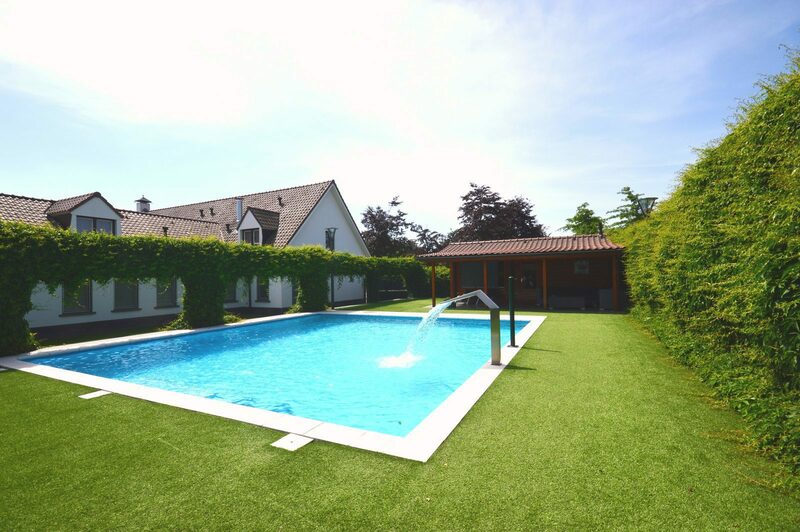 When it gets too hot, you can just dive into the swimming pool. 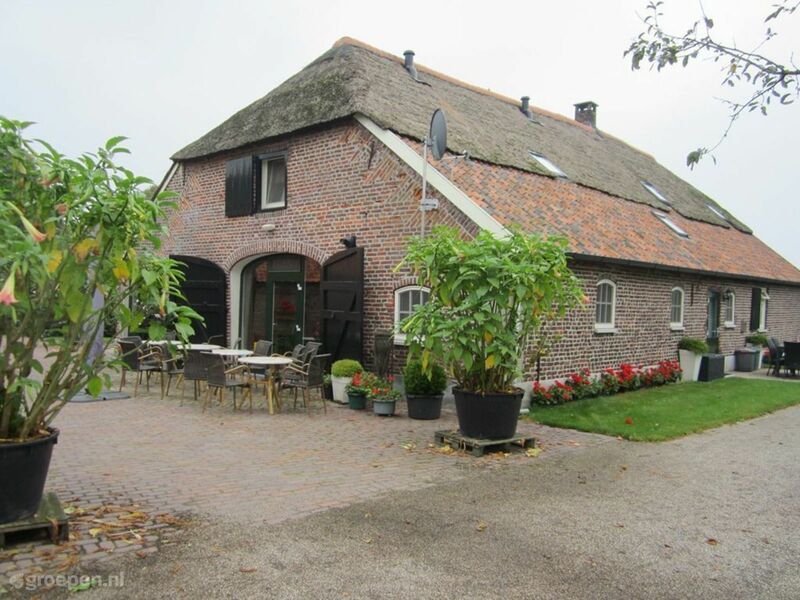 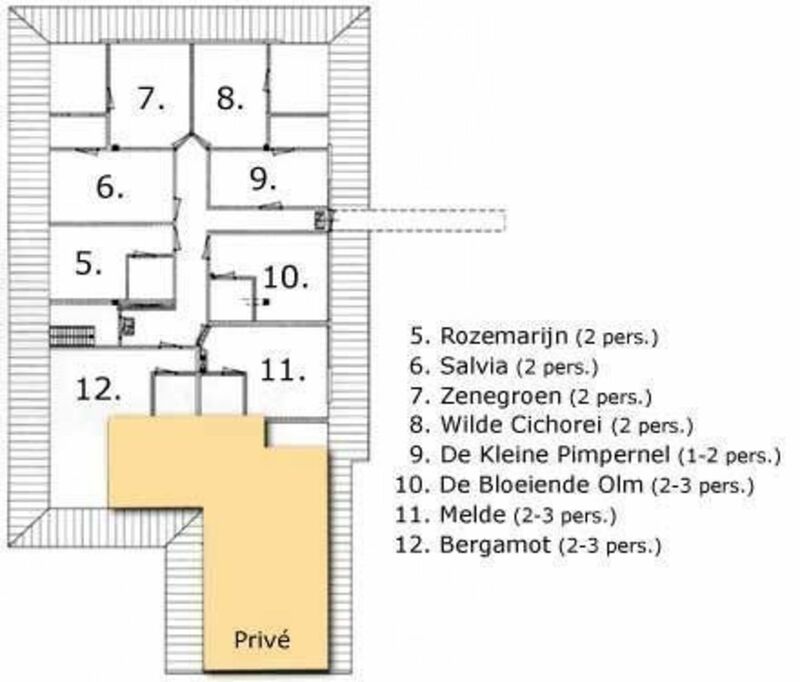 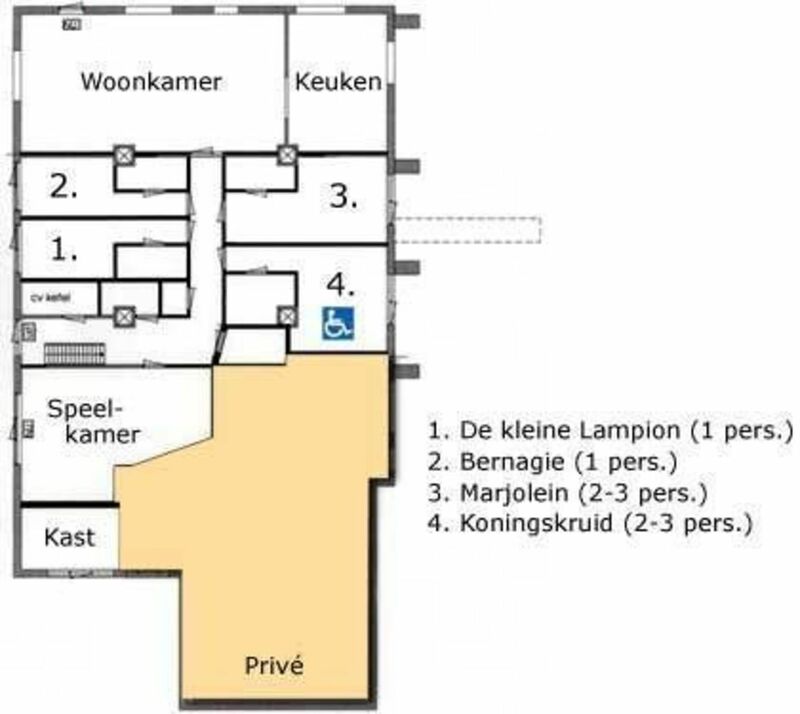 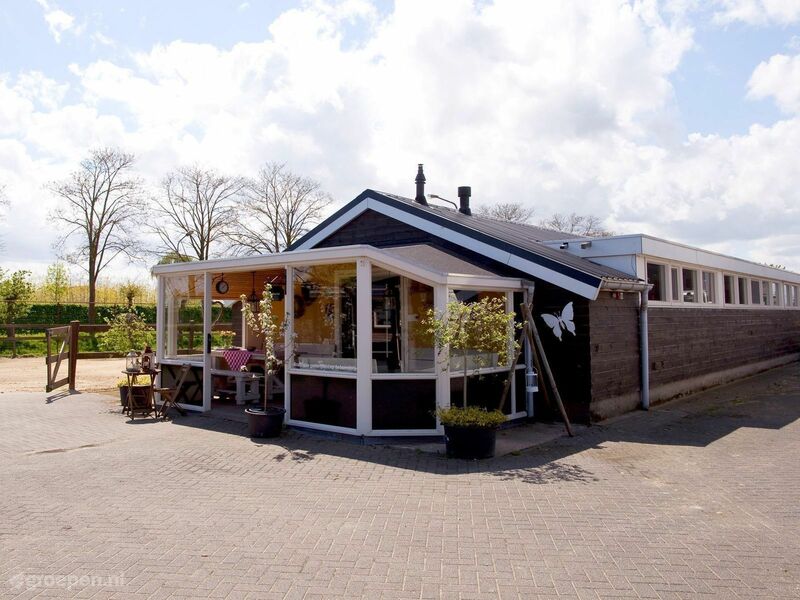 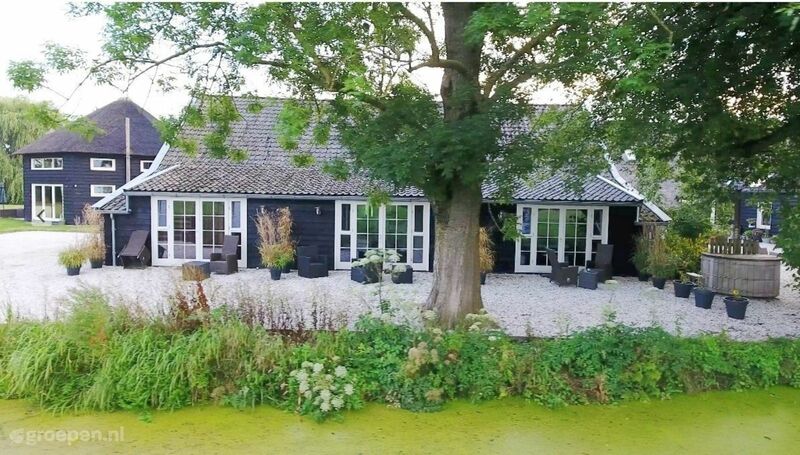 If you choose for a summer house with private swimming pool in the Netherlands you won't have to worry about anything. 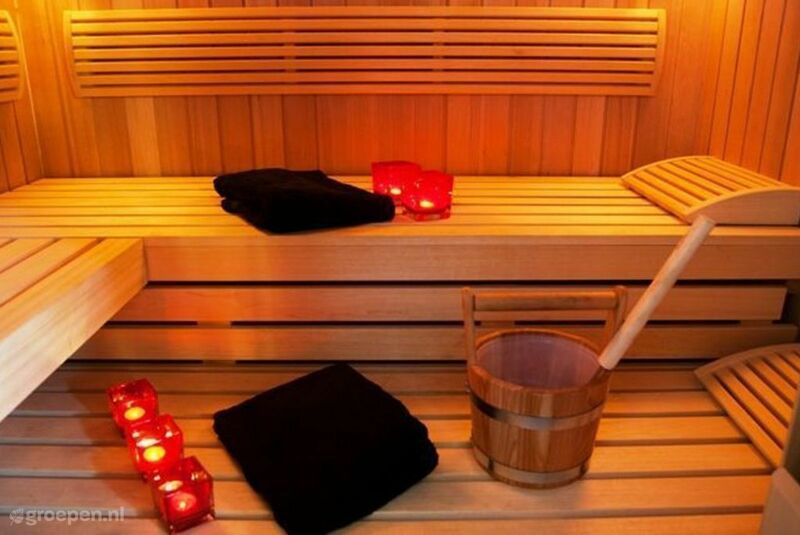 Relax and enjoy yourself. 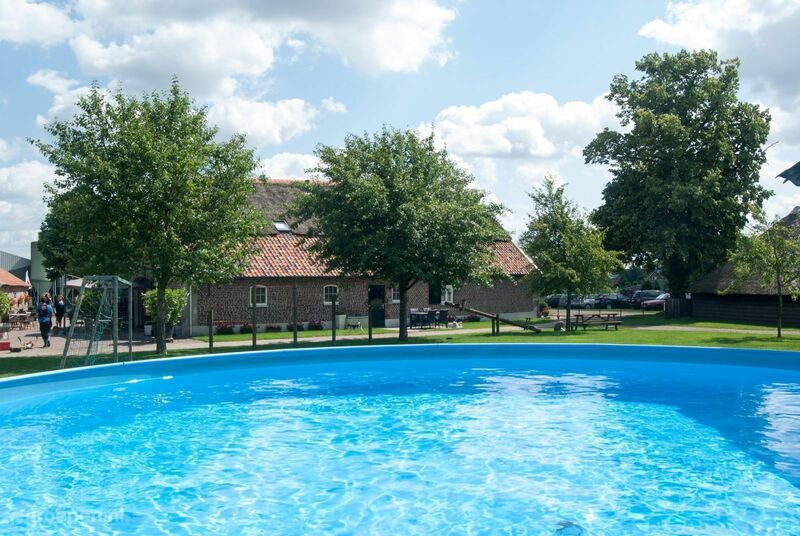 Float on an airbed in the swimming pool, with a glass in hand and sunglasses on. 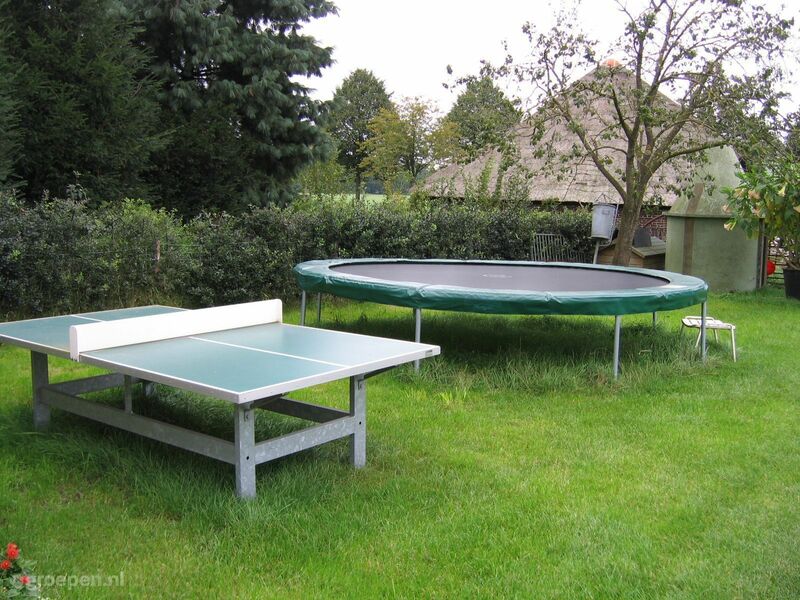 That's true enjoyment. 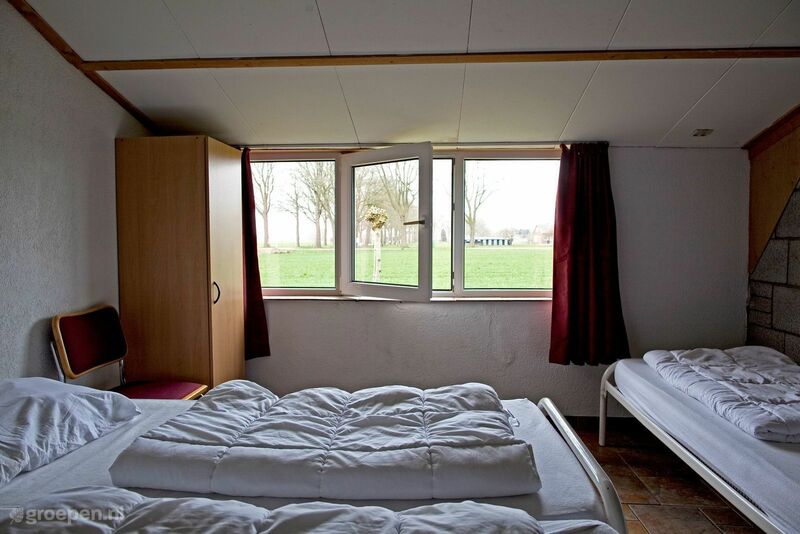 Come stay with your family. 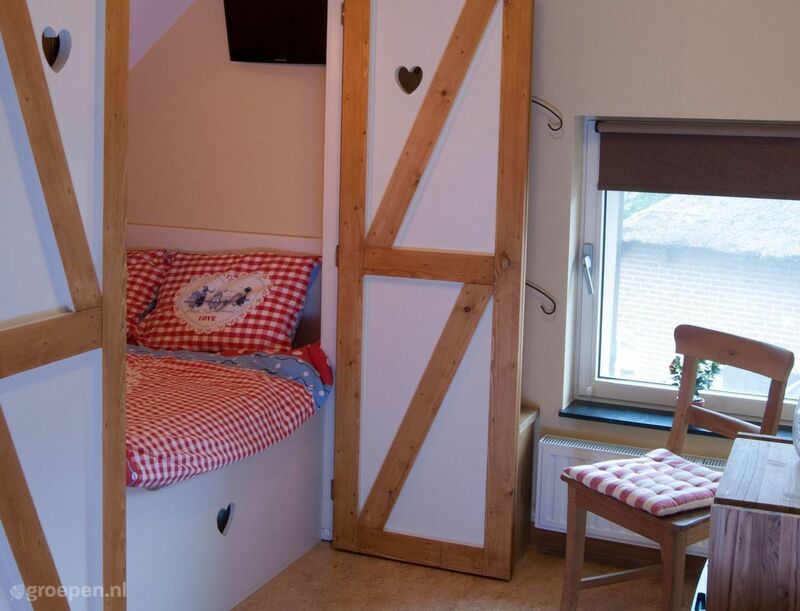 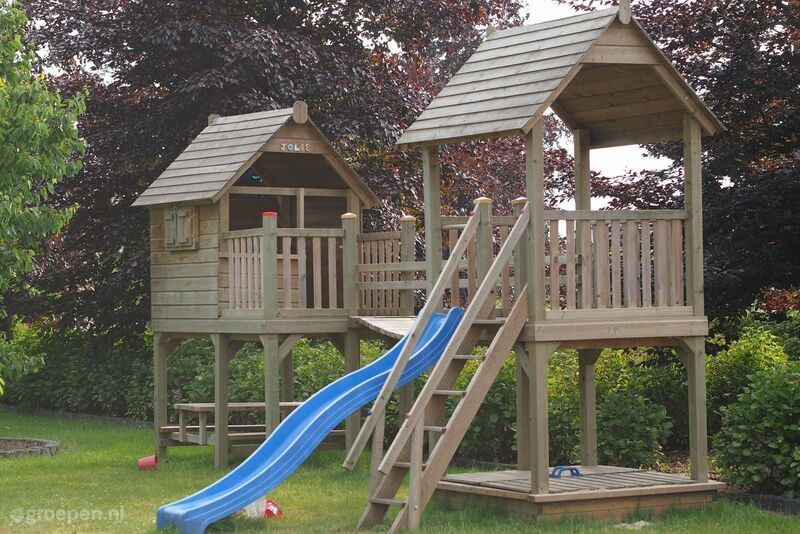 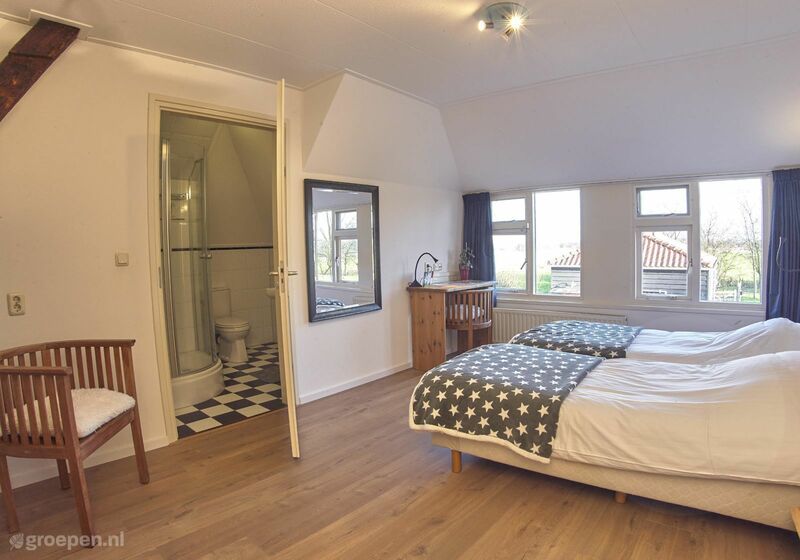 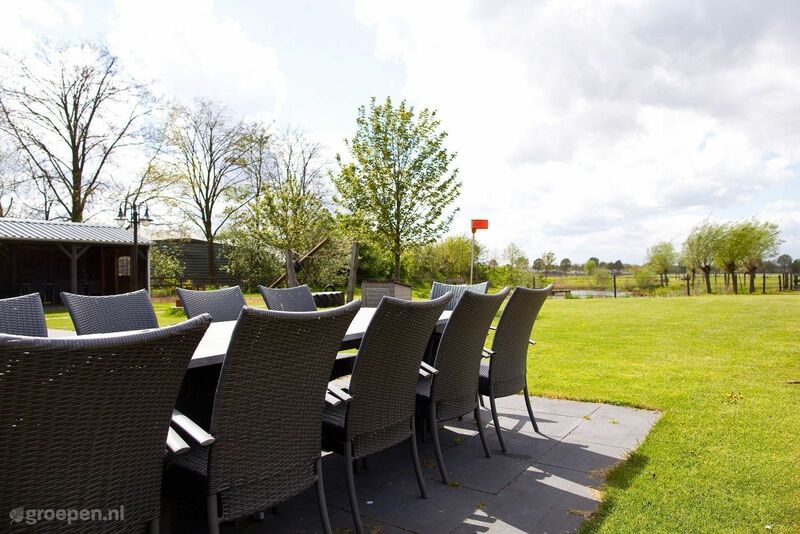 Your children will definitely enjoy themselves during their holiday or weekend away in a holiday home with private swimming pool in the Netherlands. 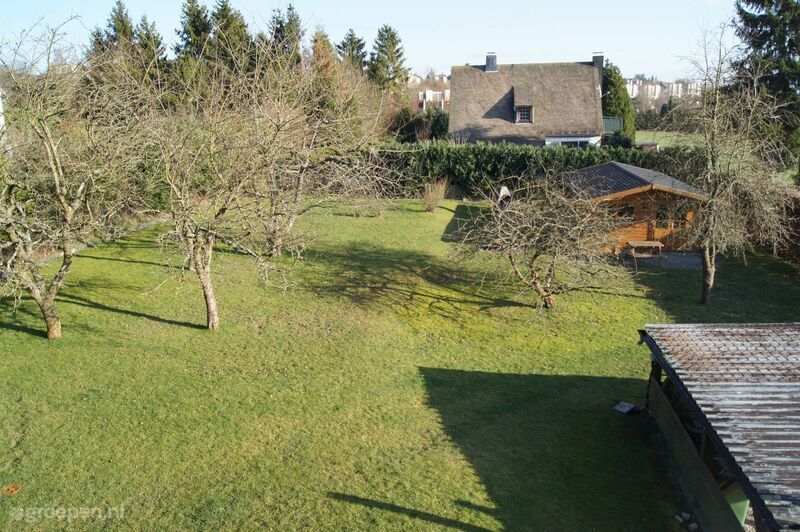 Surrounded by nature and only two kilometers from the center of Medebach statethis holiday . 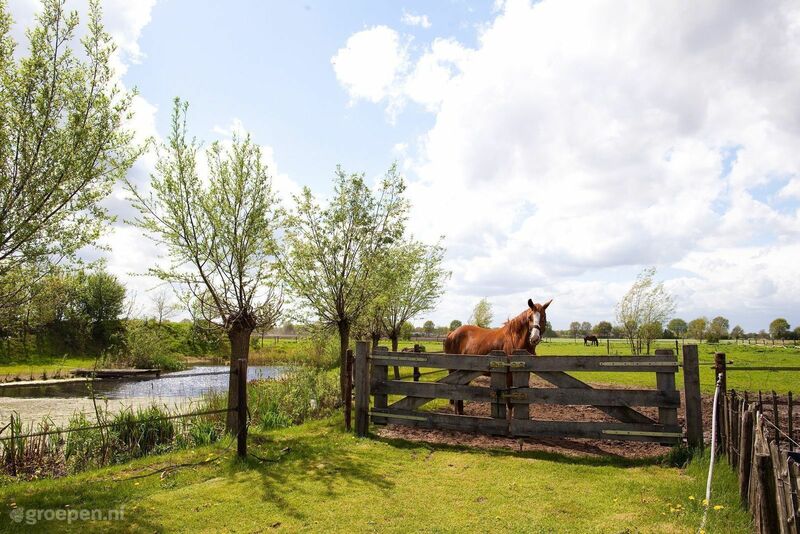 It is against the Bromberg and look from the terrace through the valley of grass to Medebach. 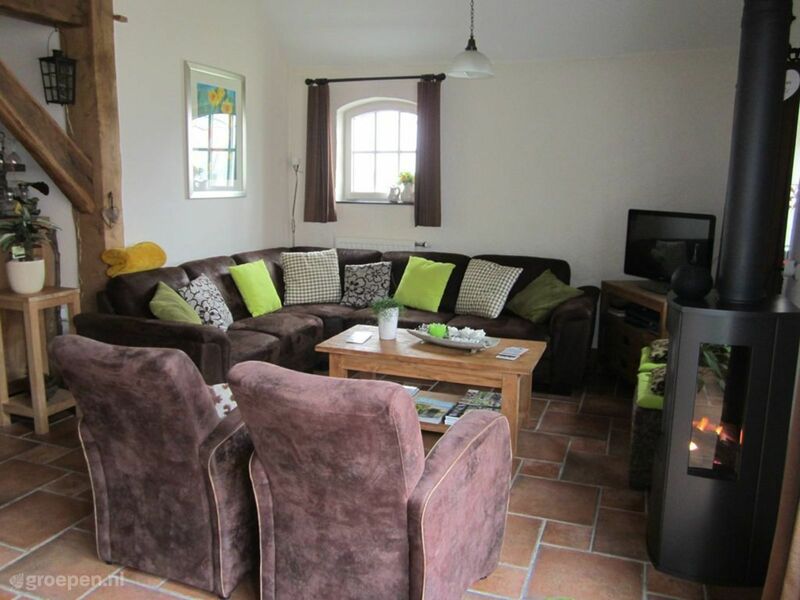 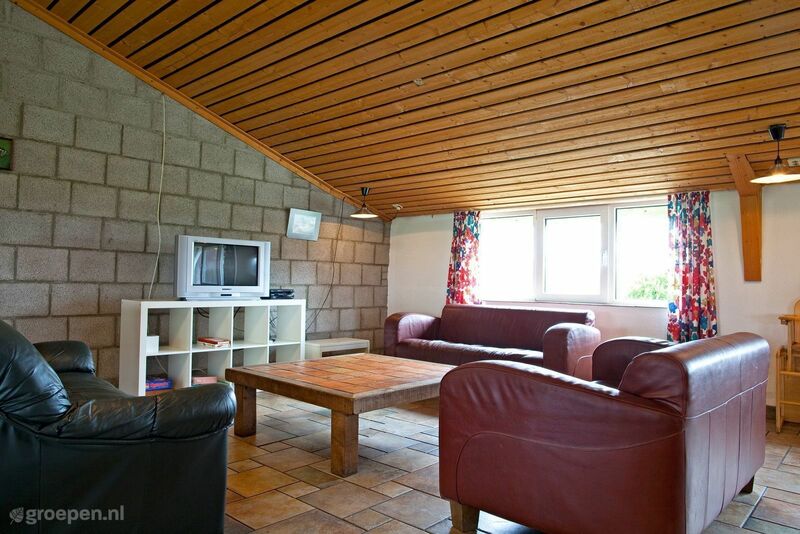 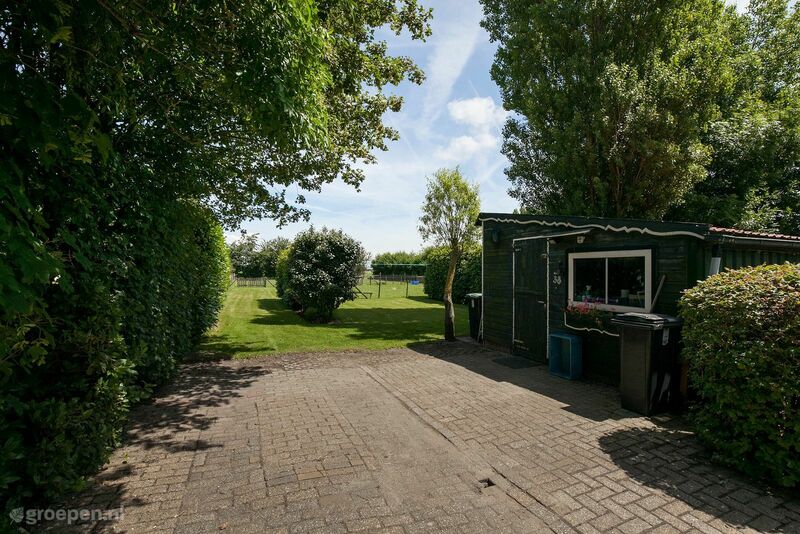 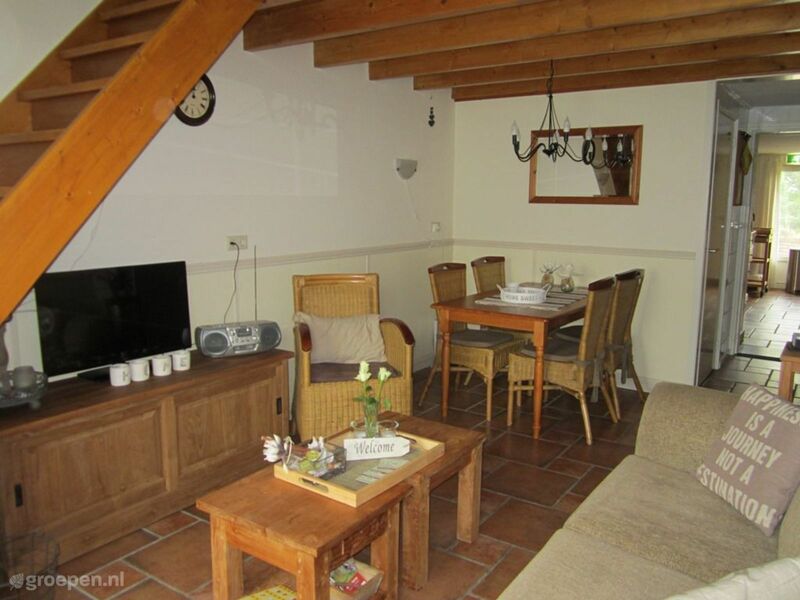 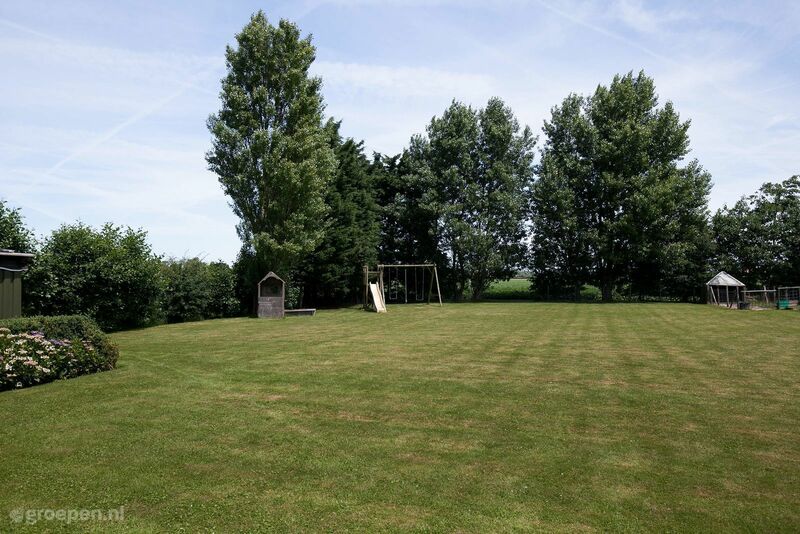 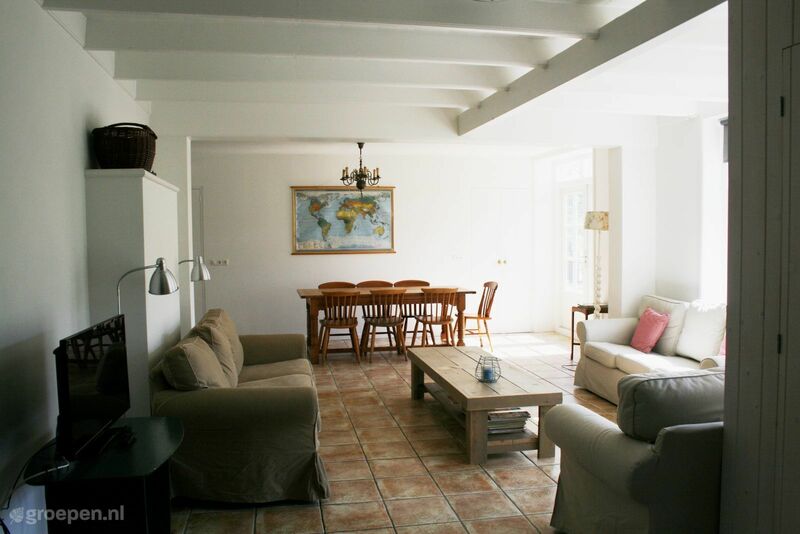 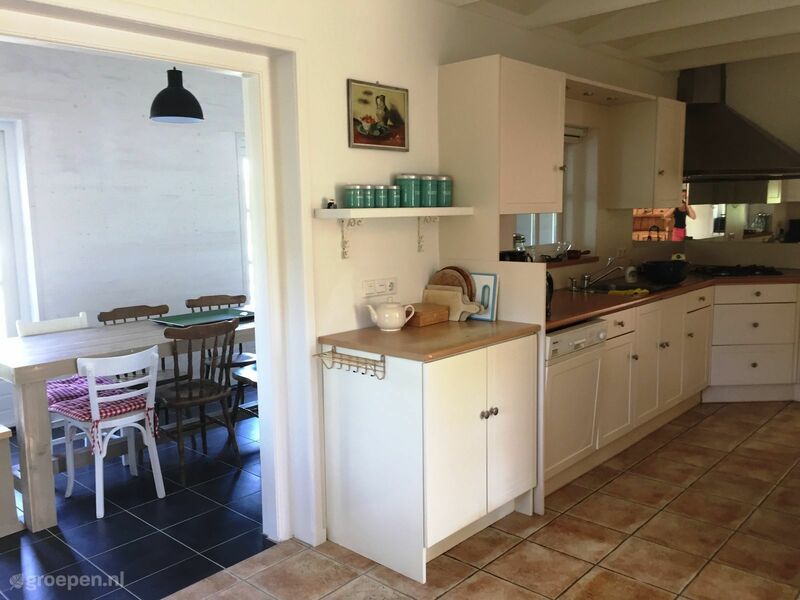 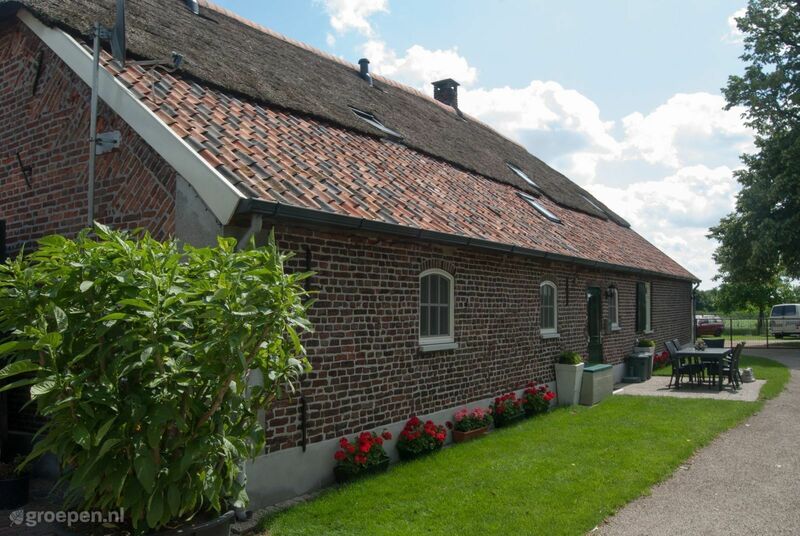 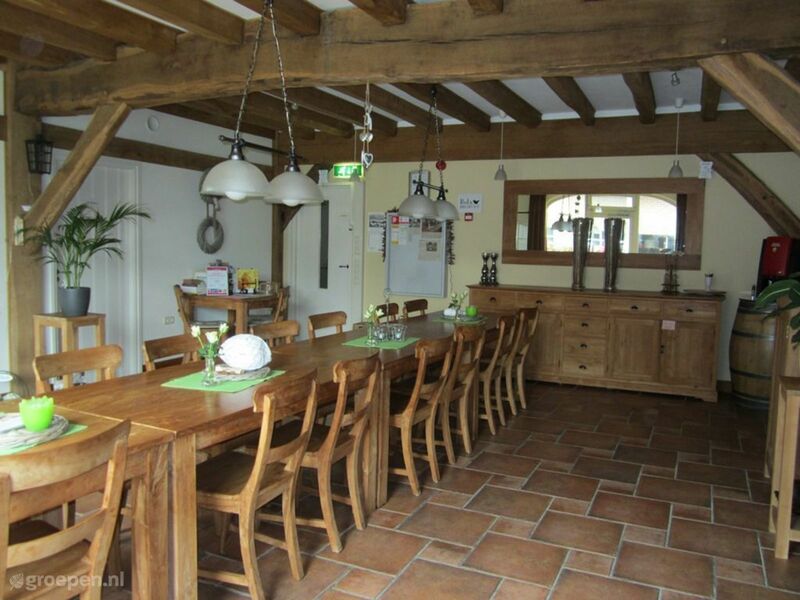 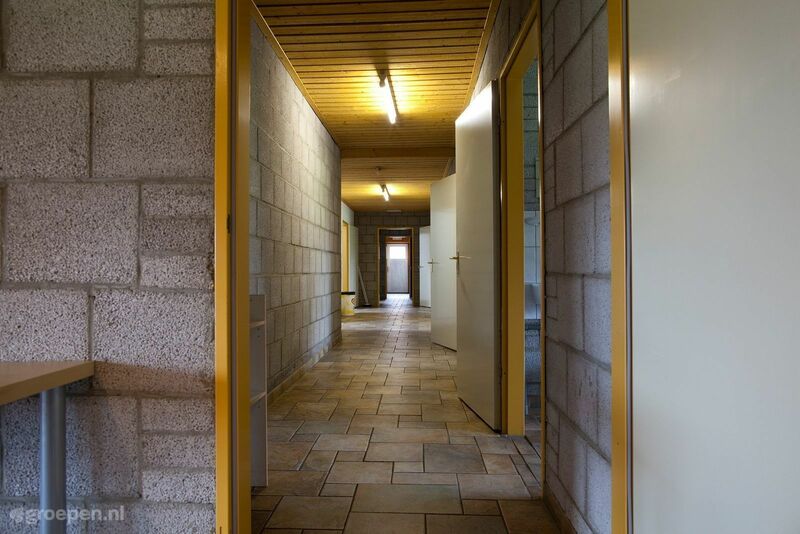 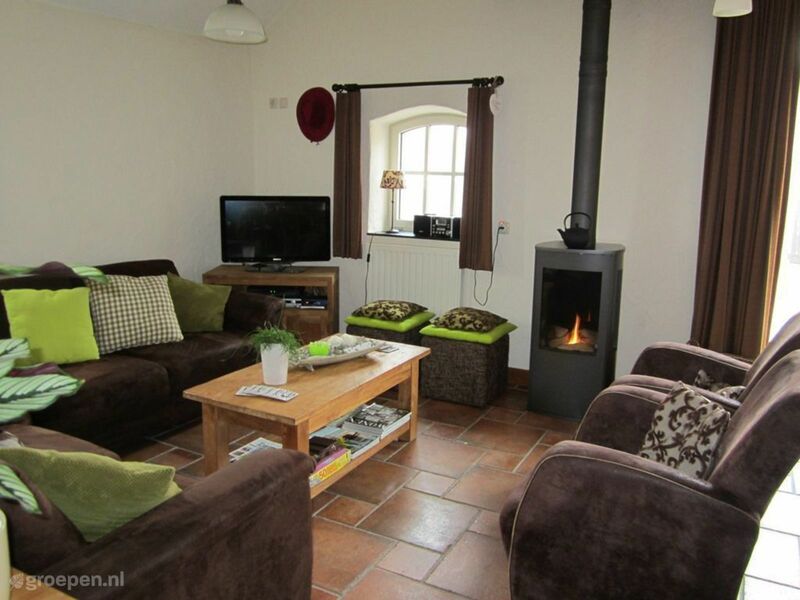 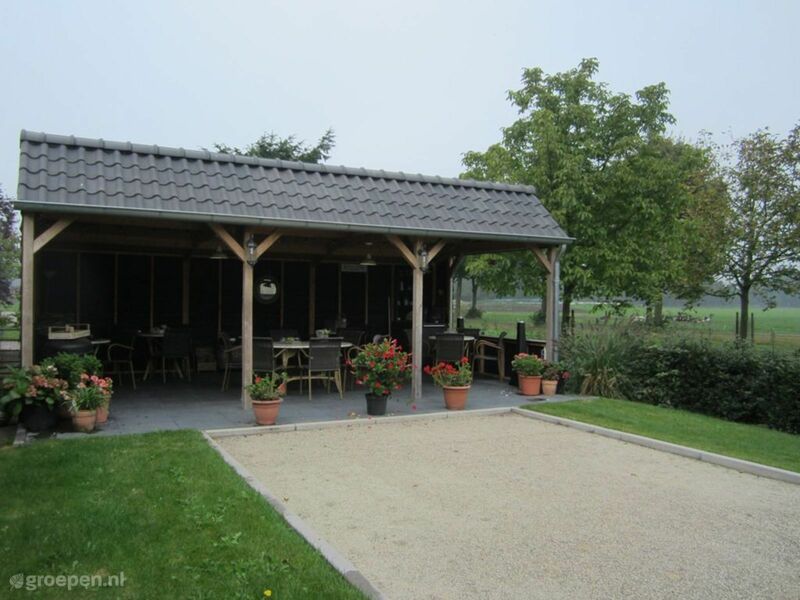 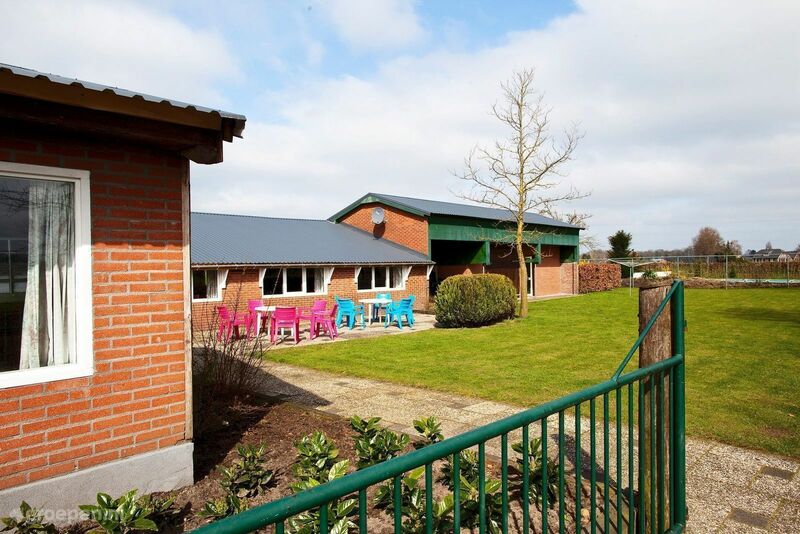 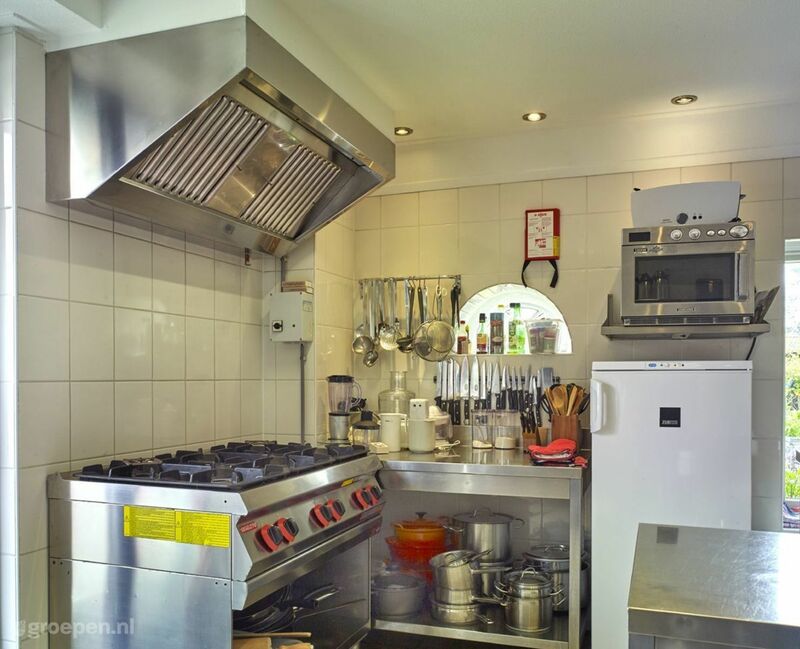 The group property is situated close to the Achterhoeks bocage . 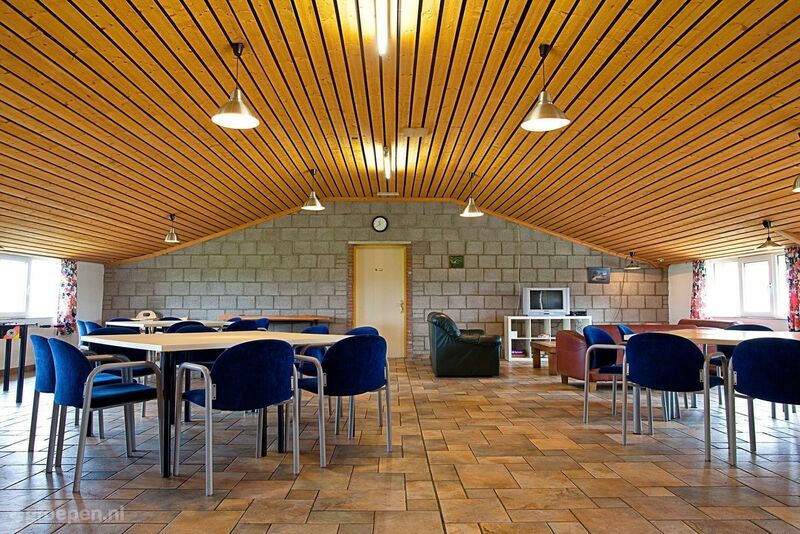 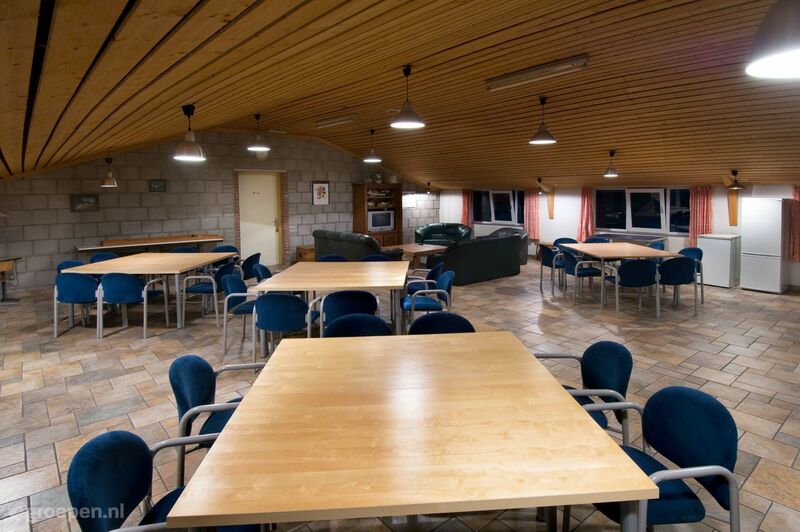 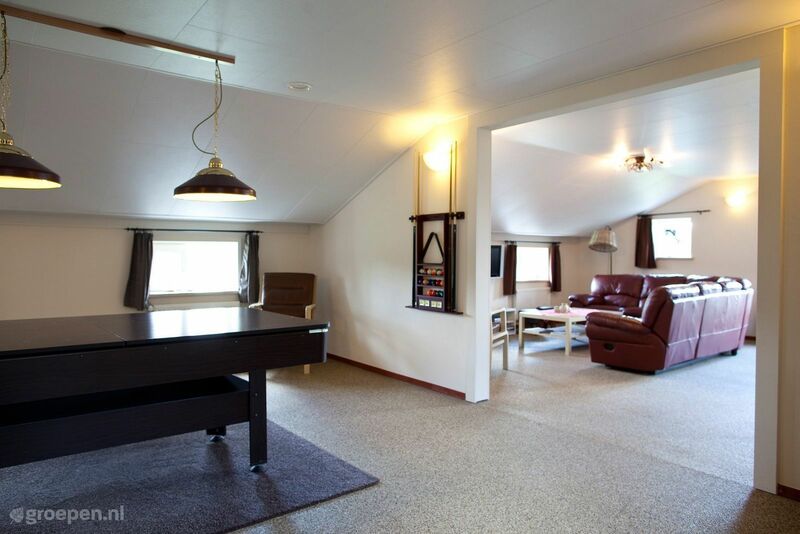 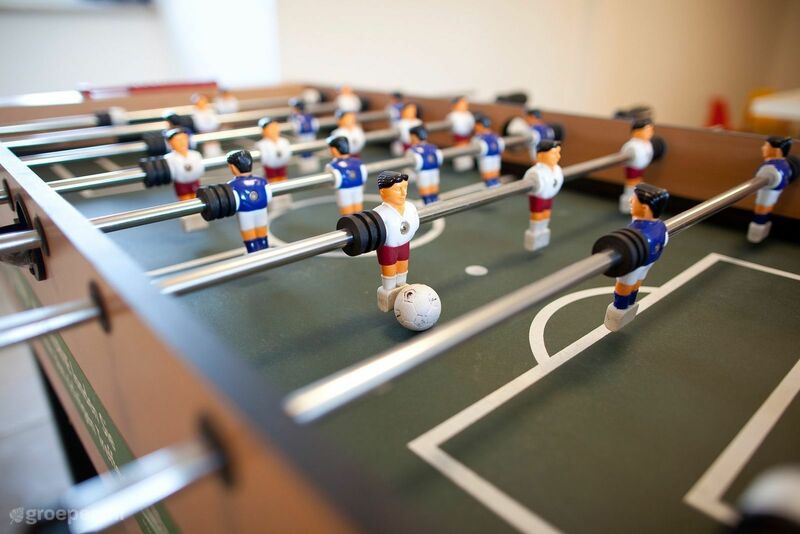 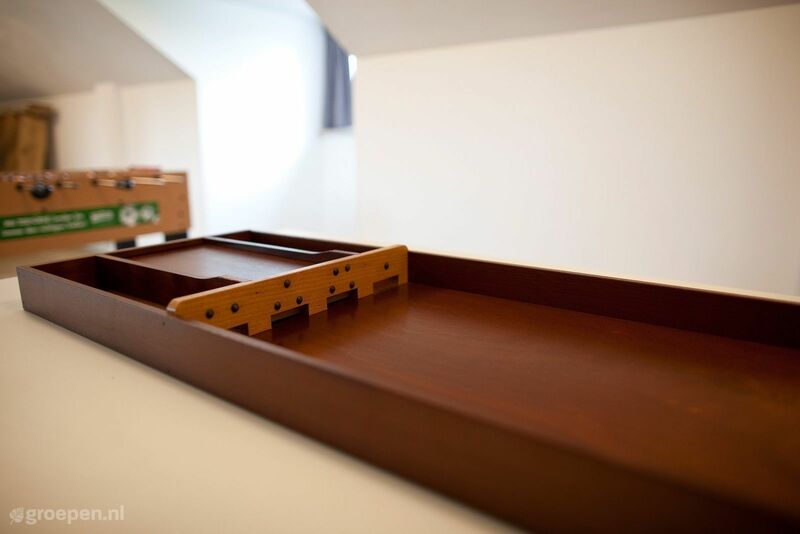 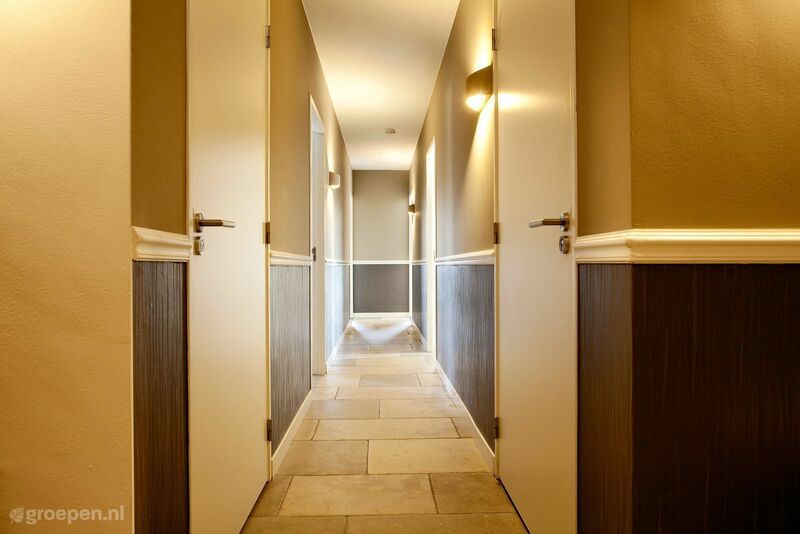 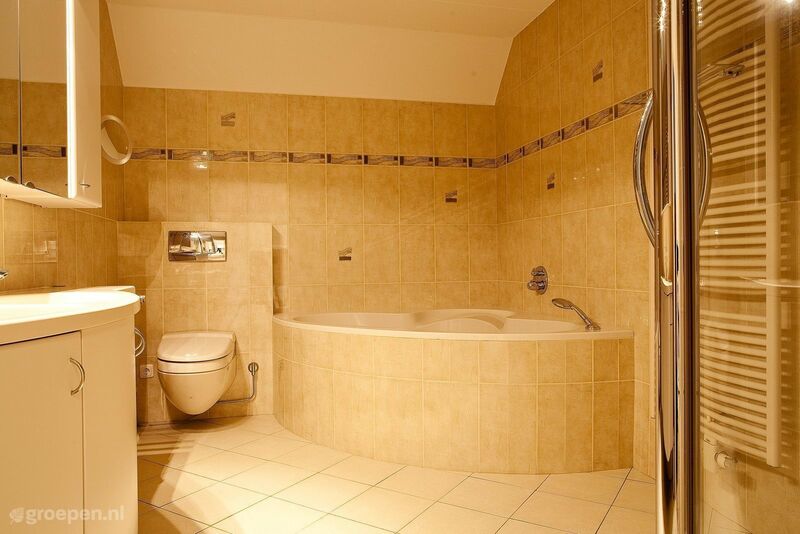 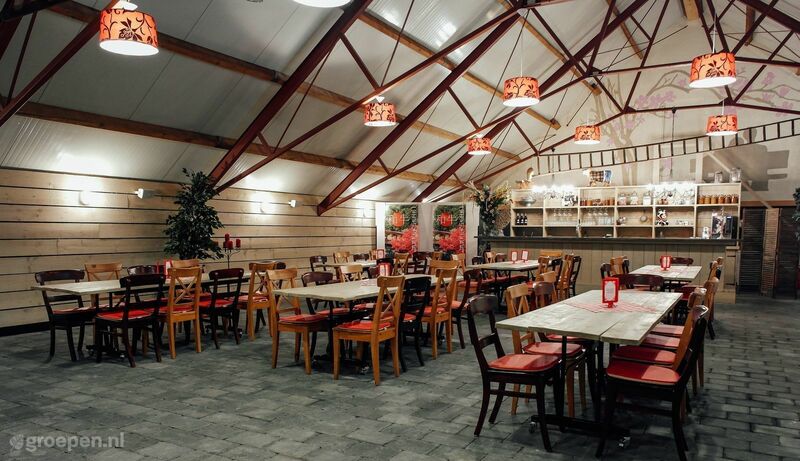 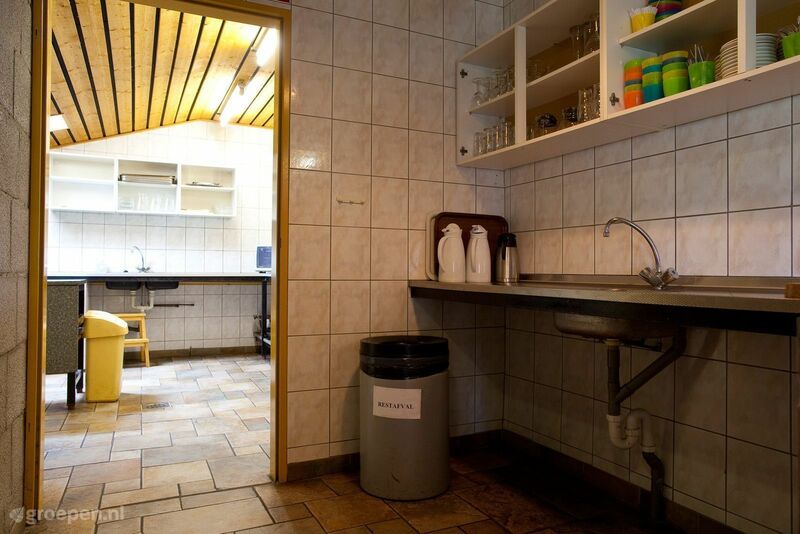 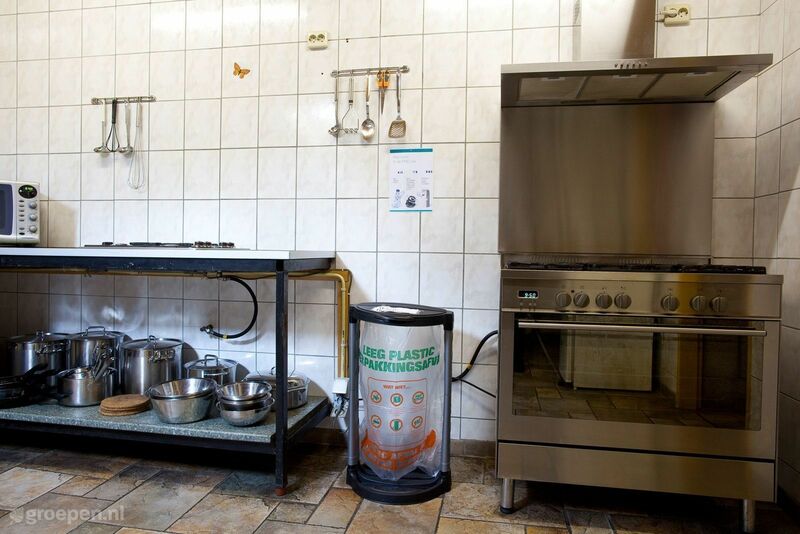 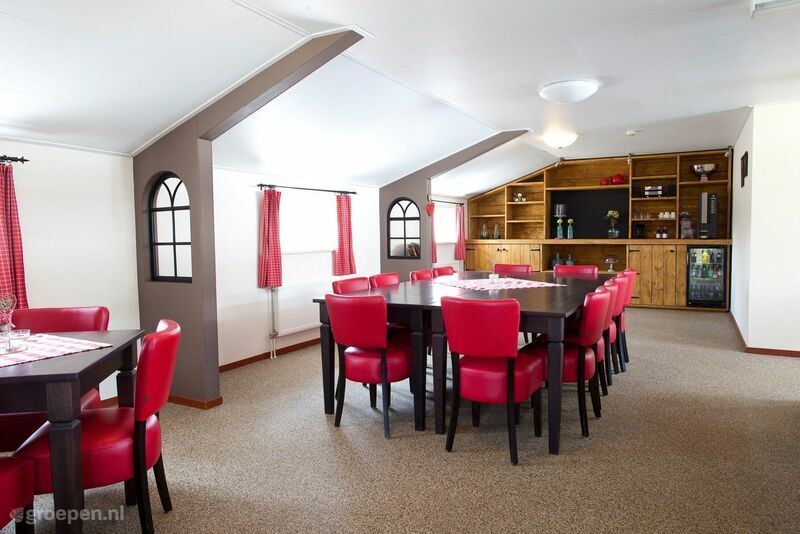 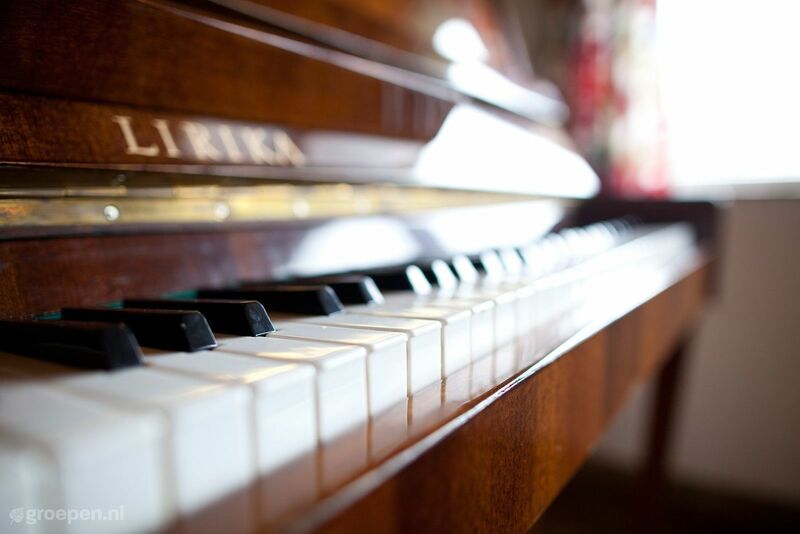 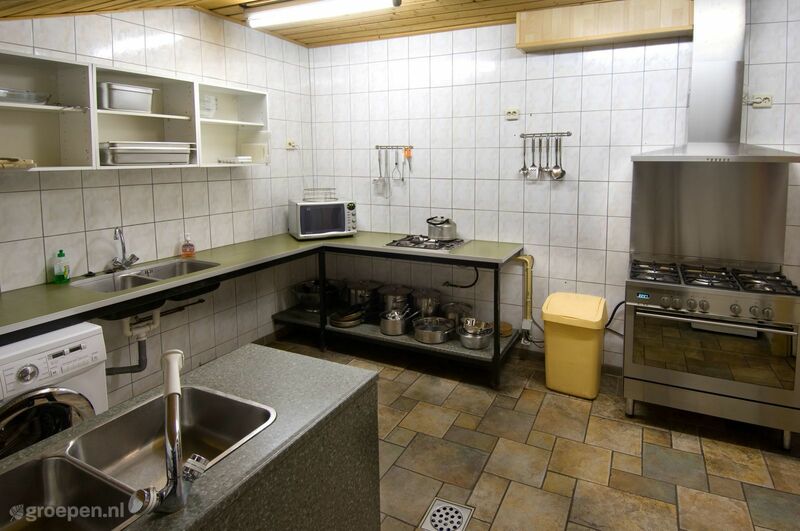 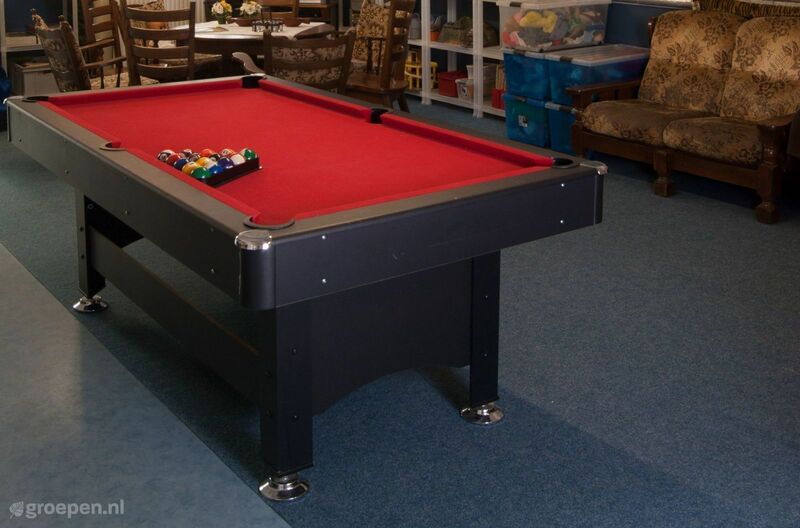 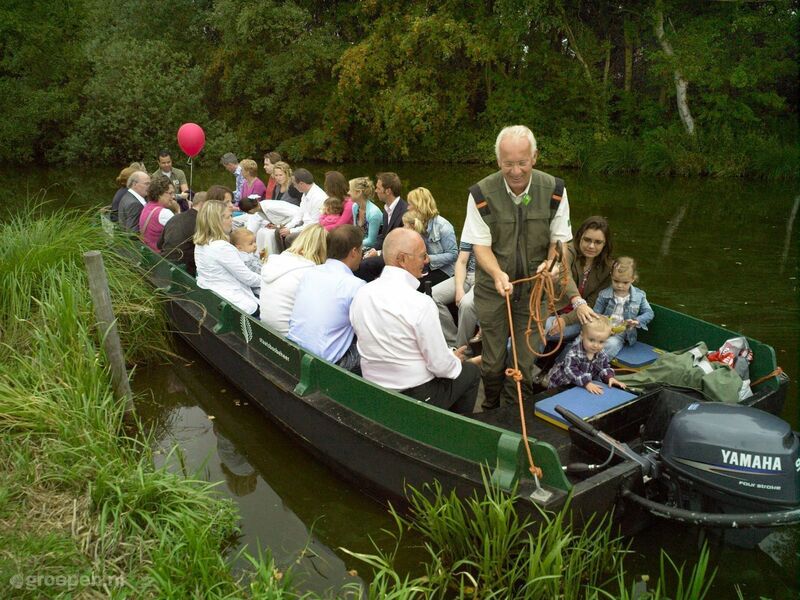 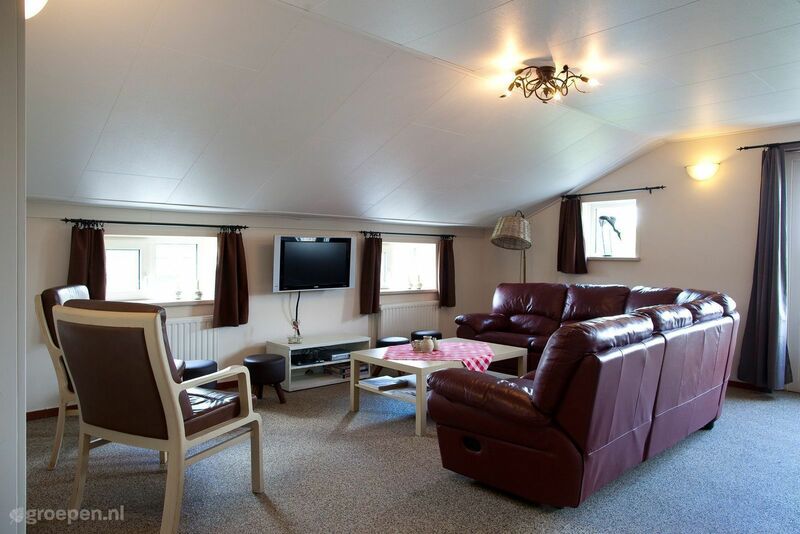 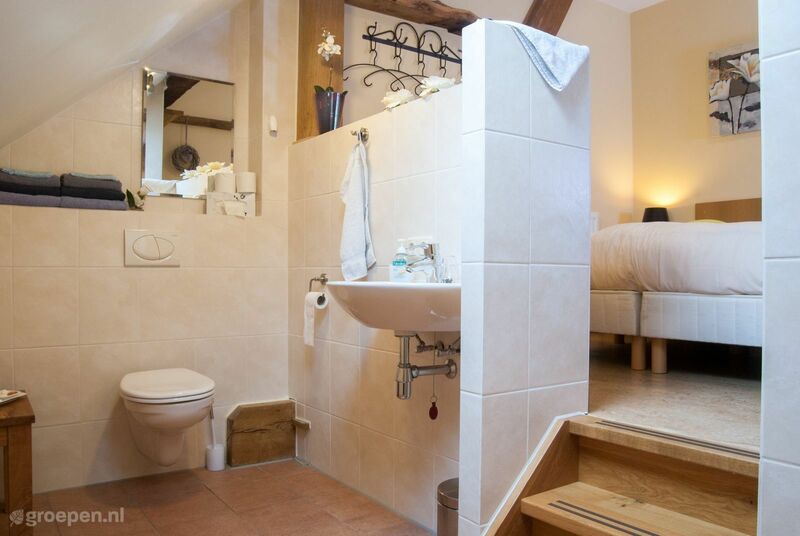 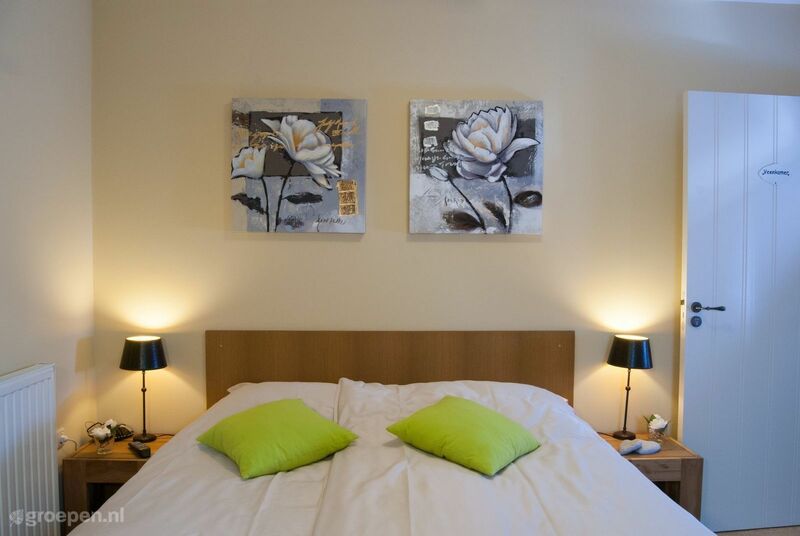 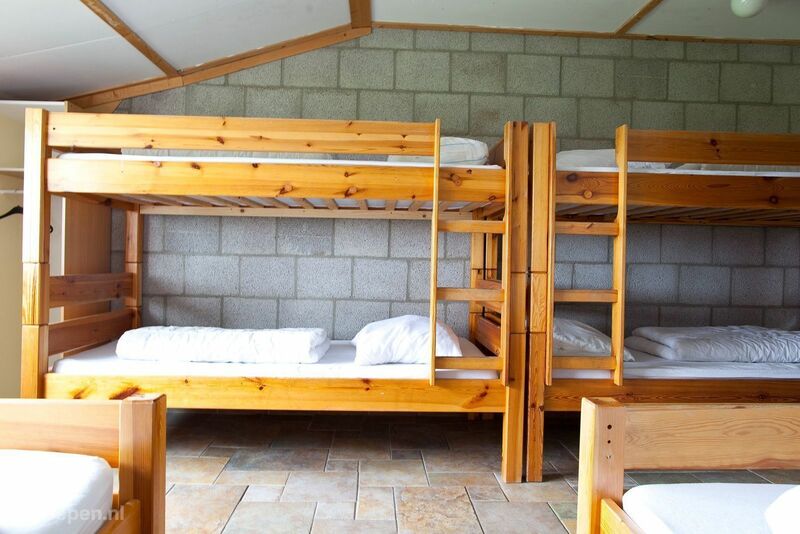 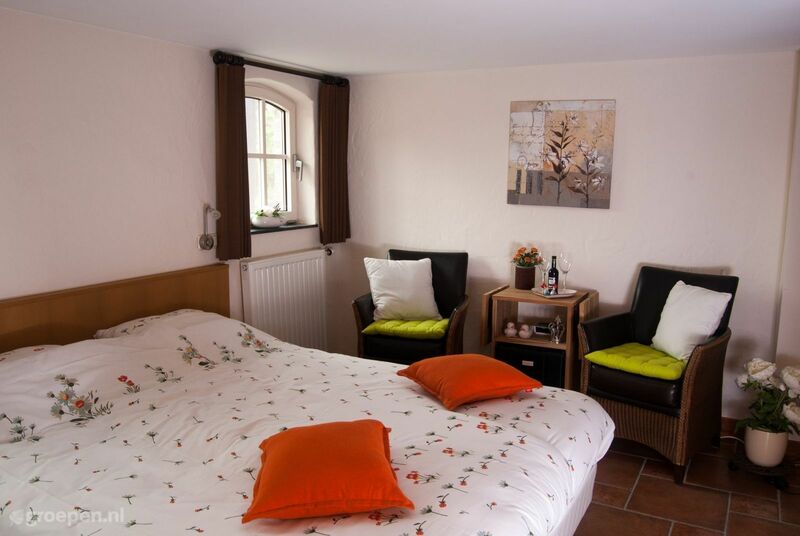 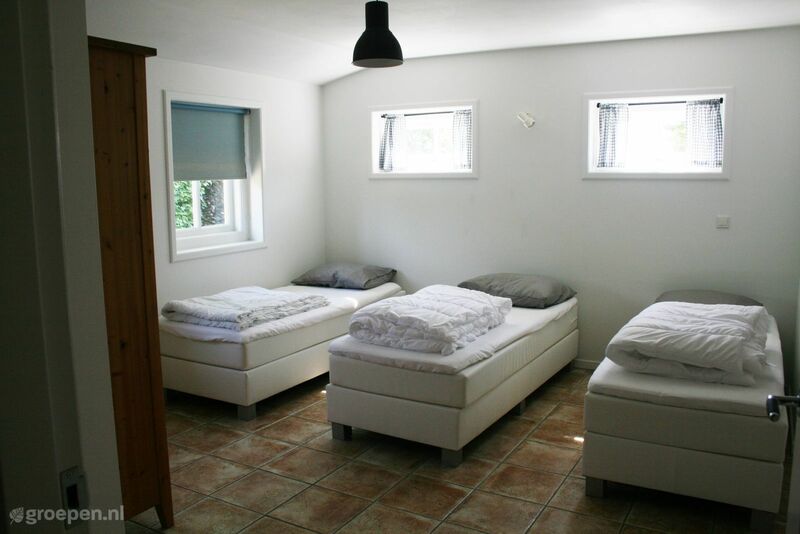 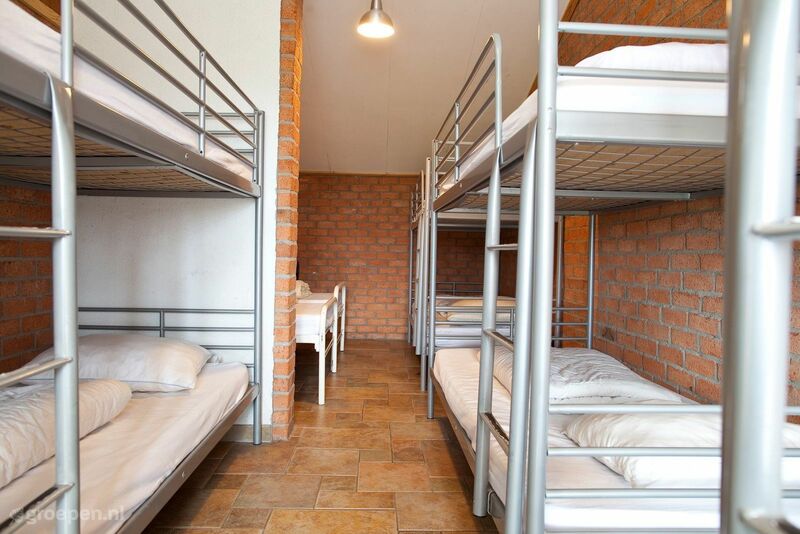 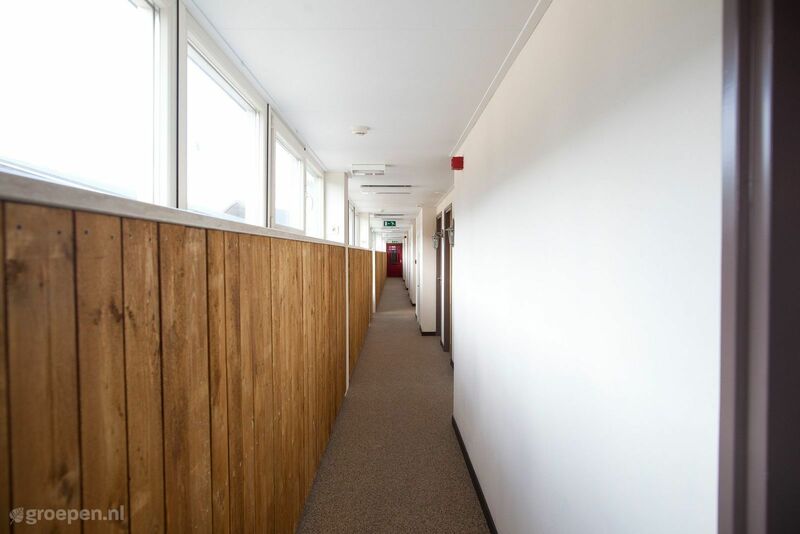 The accommodation is spacious and suitable for groups up to 42 people. 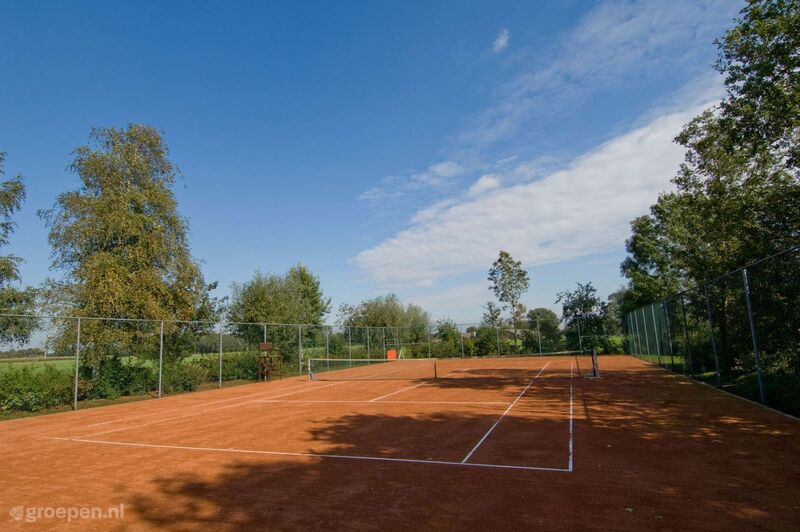 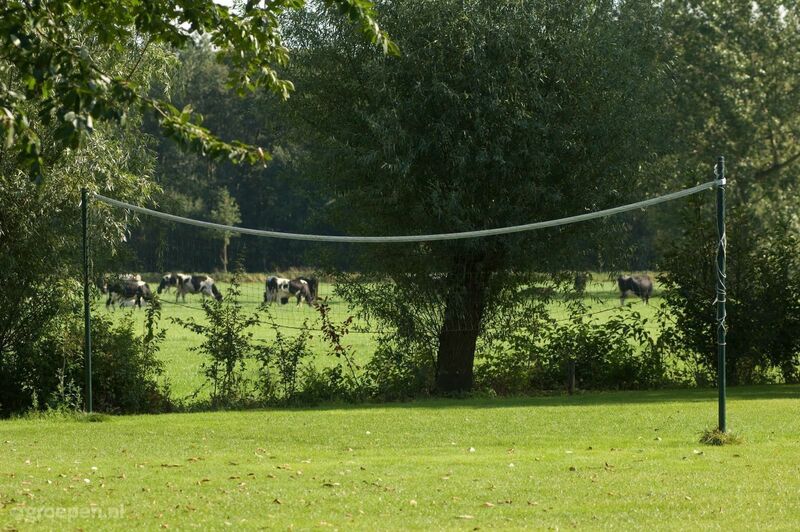 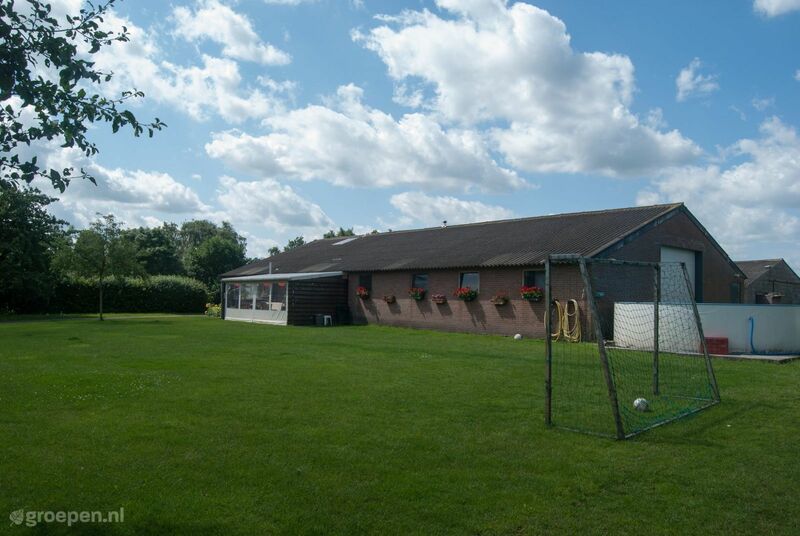 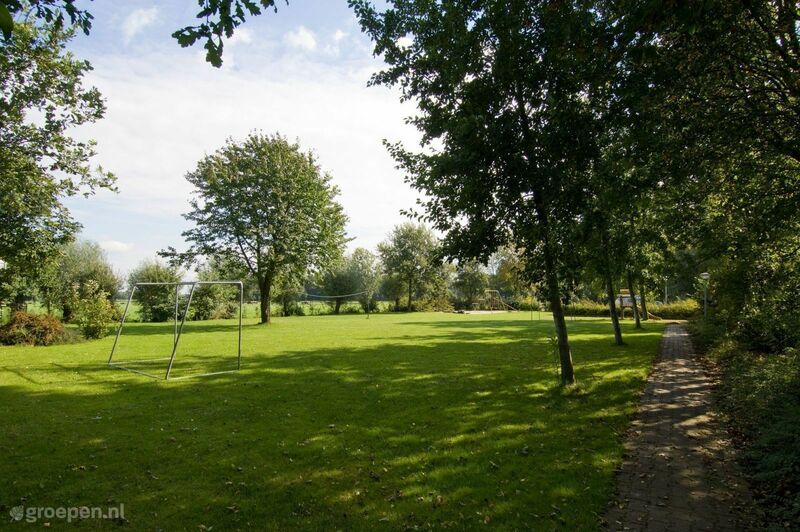 On the property are many sports and games facilities . 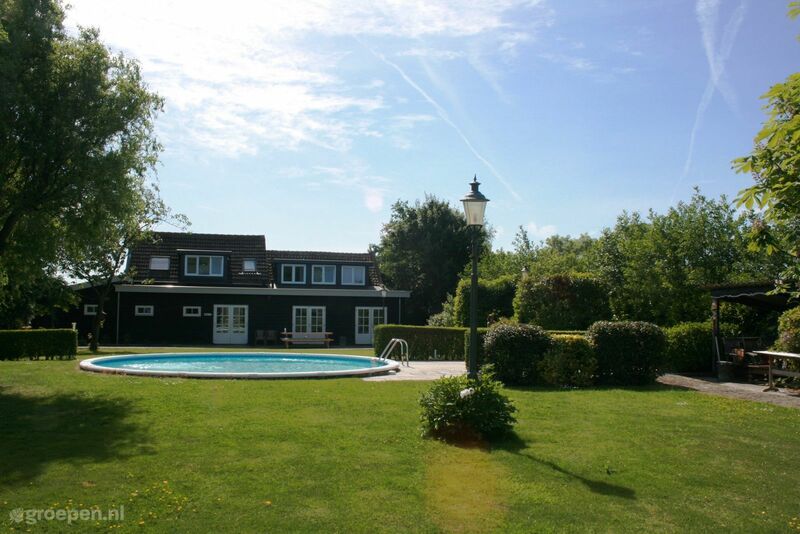 Who doesn't dream of a luxurious holiday villa with a private swimming pool? 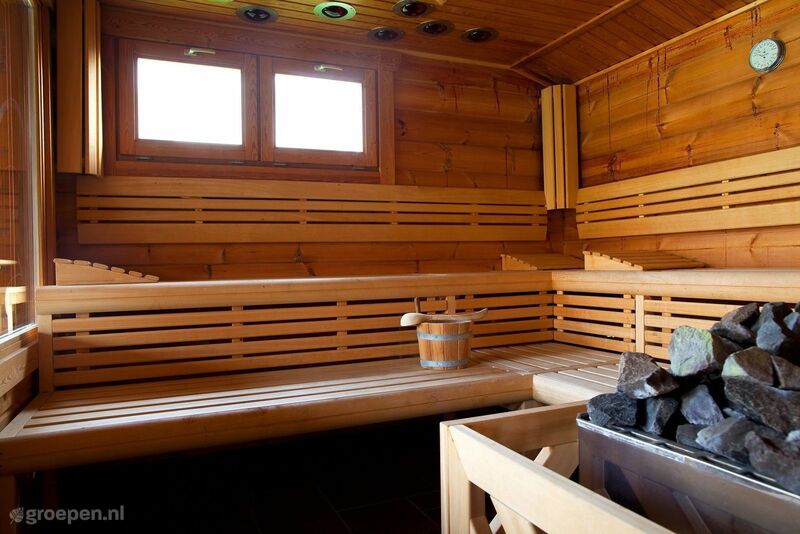 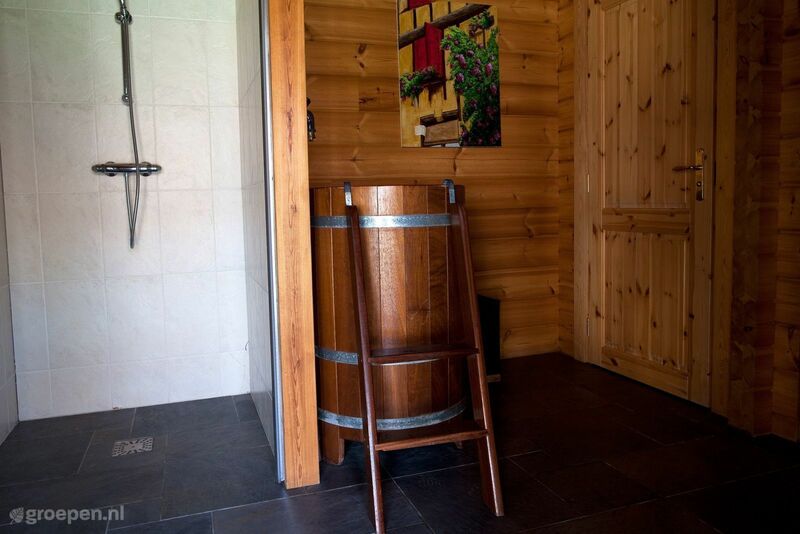 Besides a swimming pool, some group accommodations also feature a sauna and/or jacuzzi. 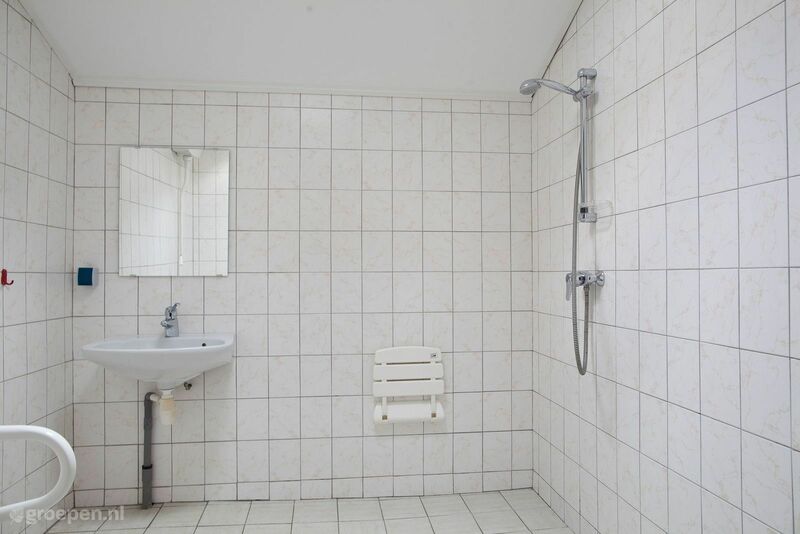 Now that's true luxury! 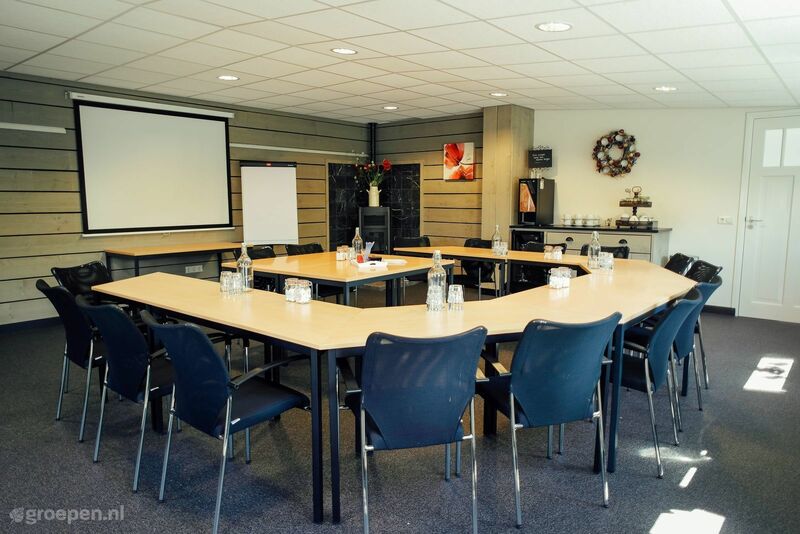 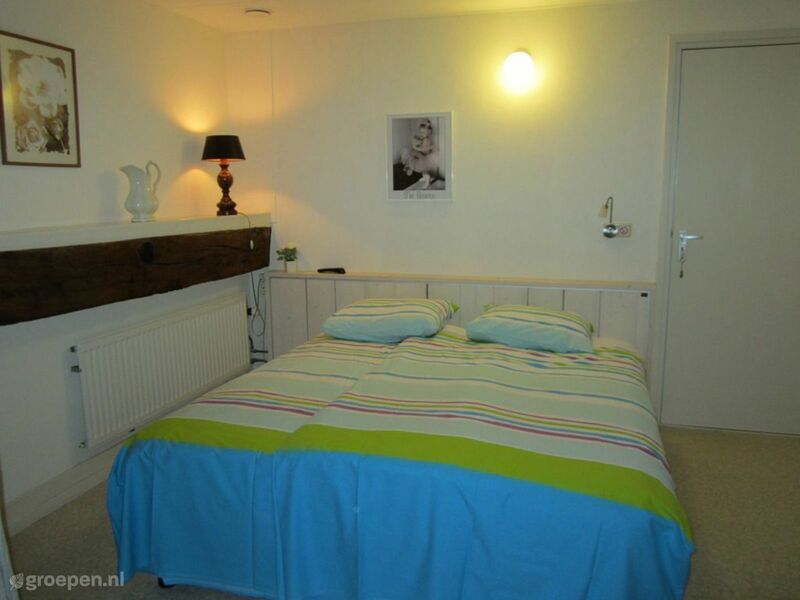 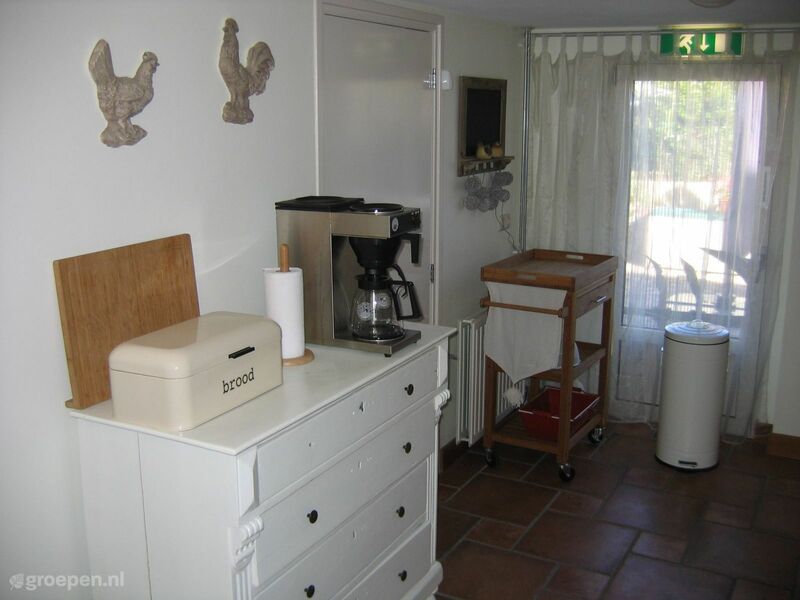 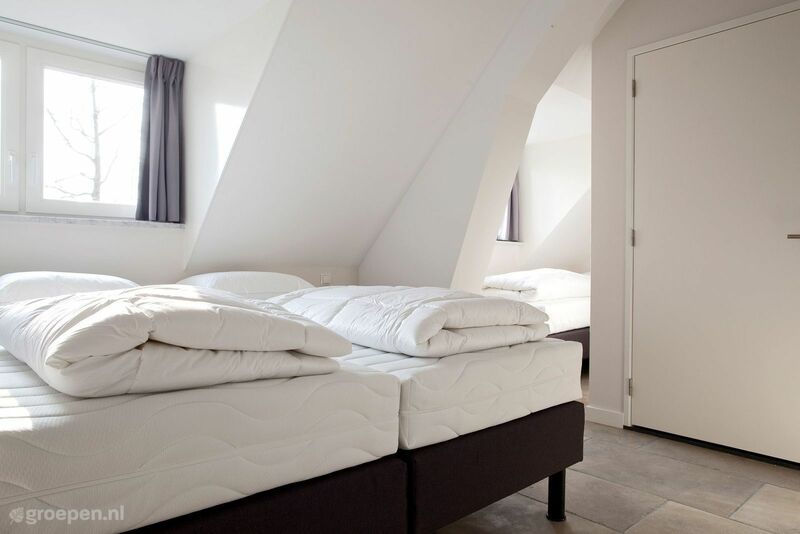 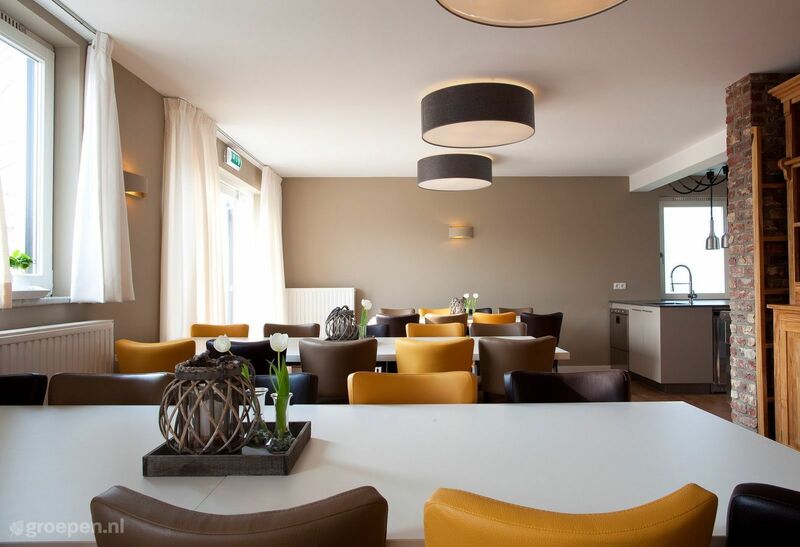 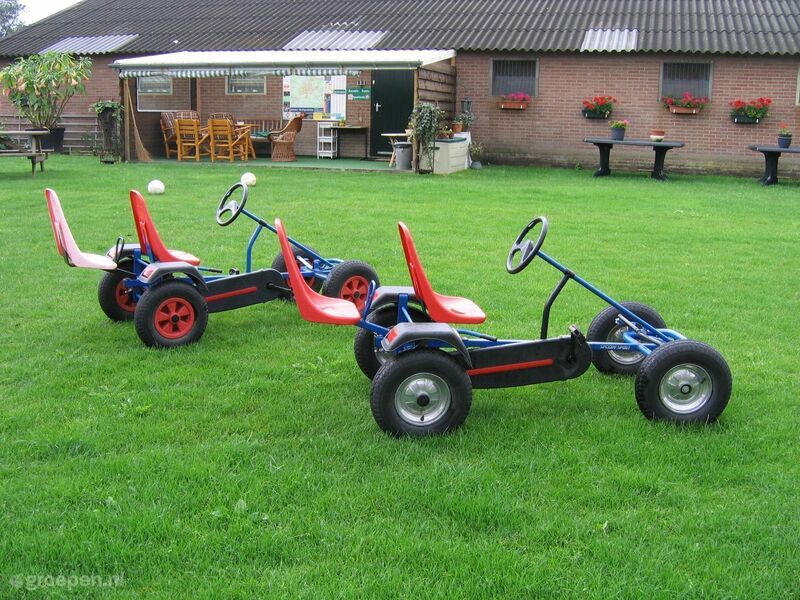 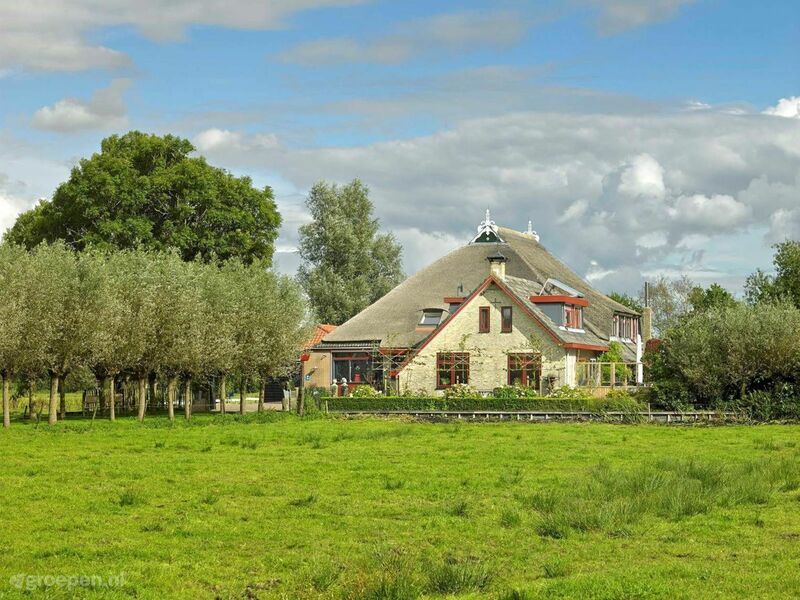 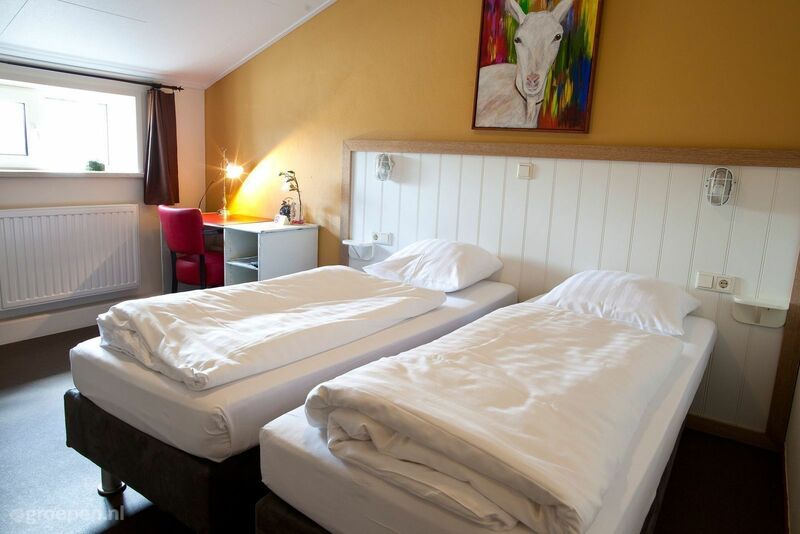 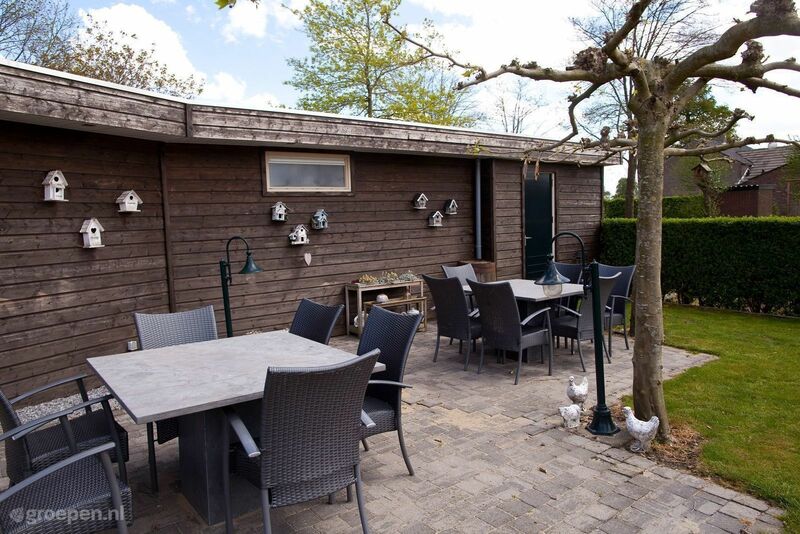 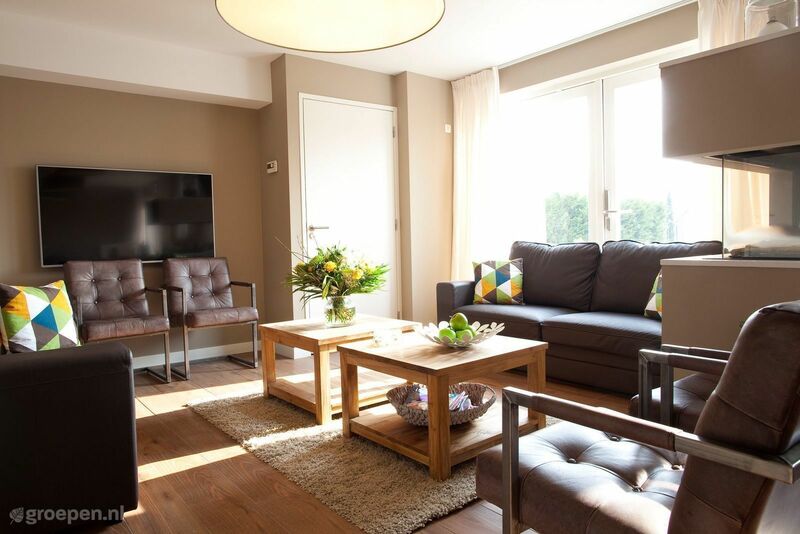 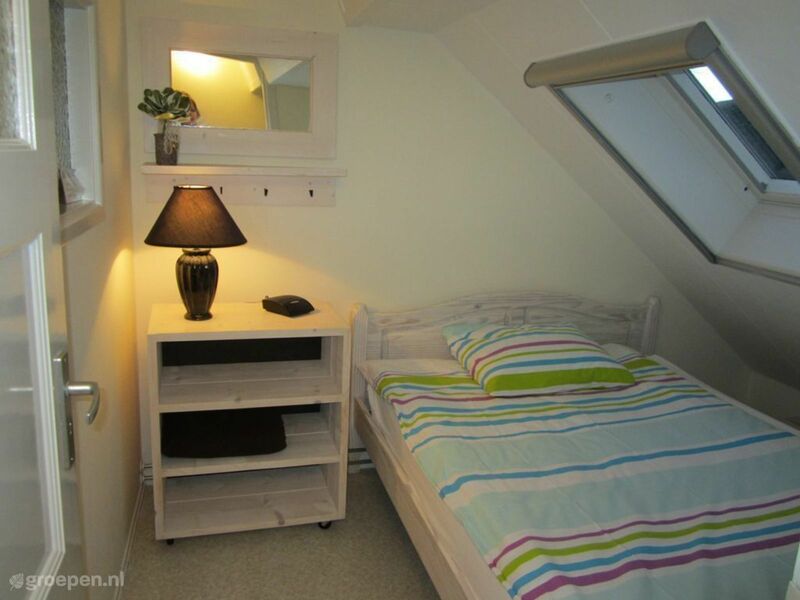 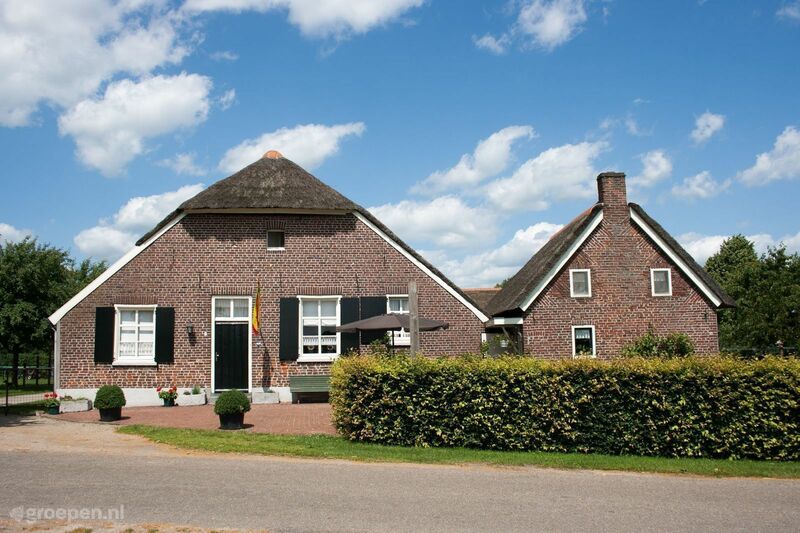 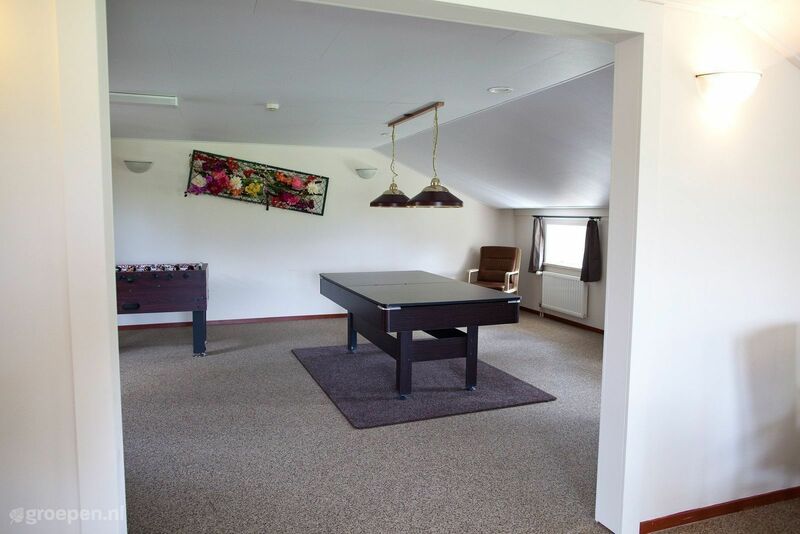 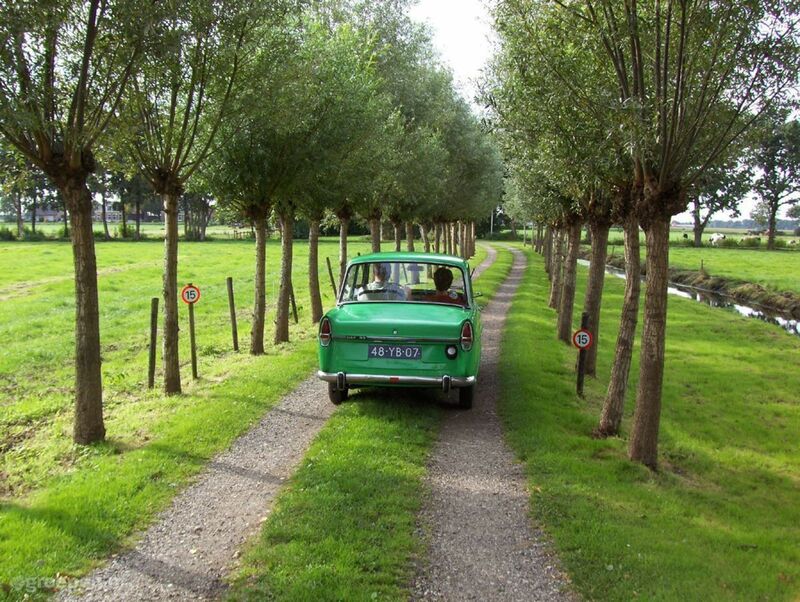 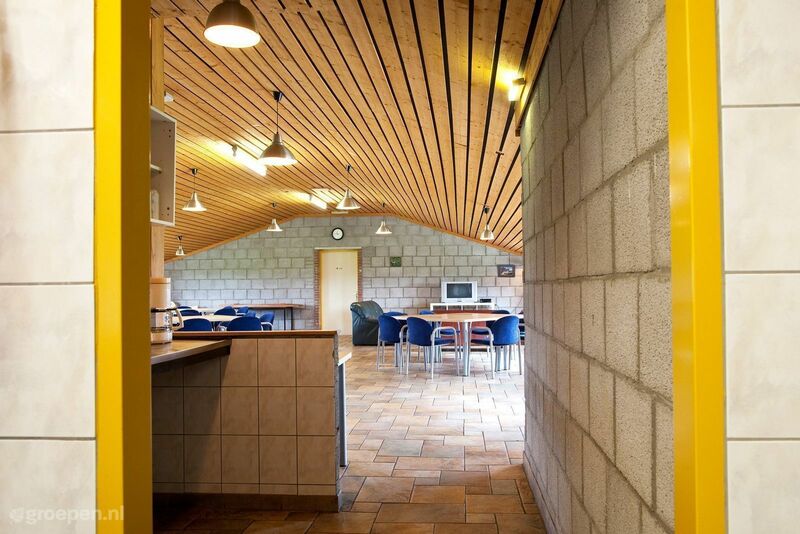 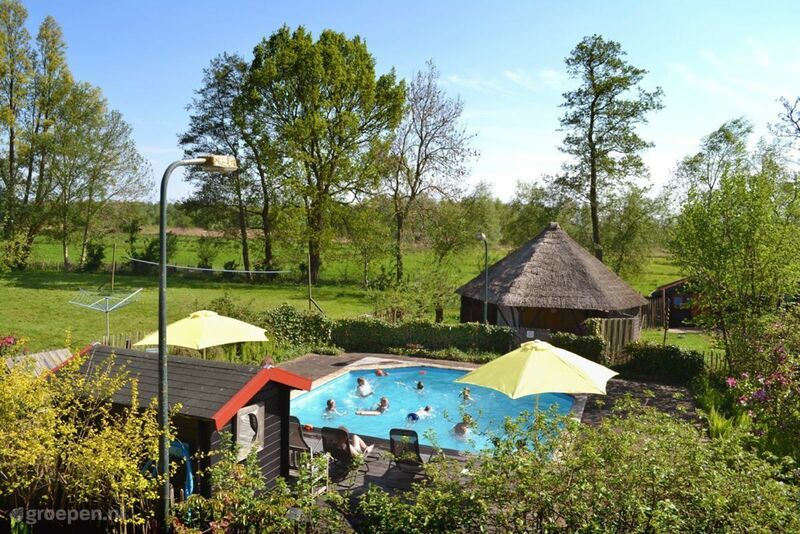 A group accommodation with private swimming pool in the Netherlands will give you a truly enjoyable stay. 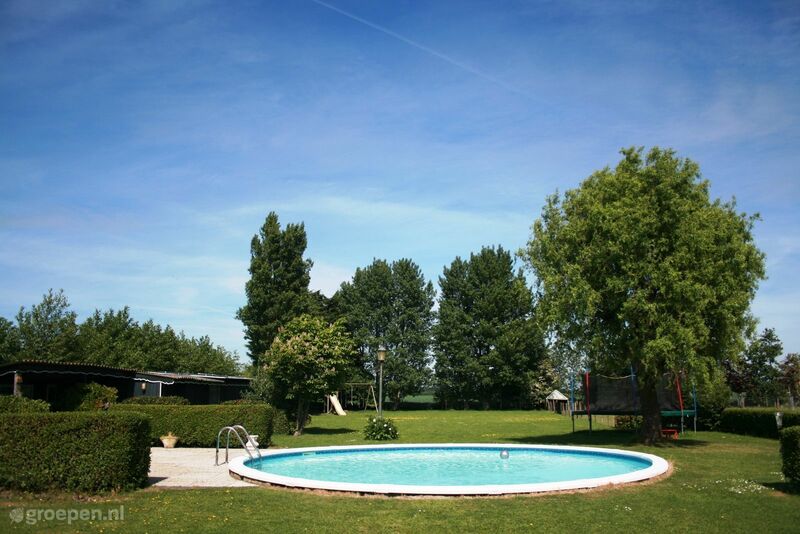 On Groepen.nl you can find a wide selection of holiday homes with private swimming pools. 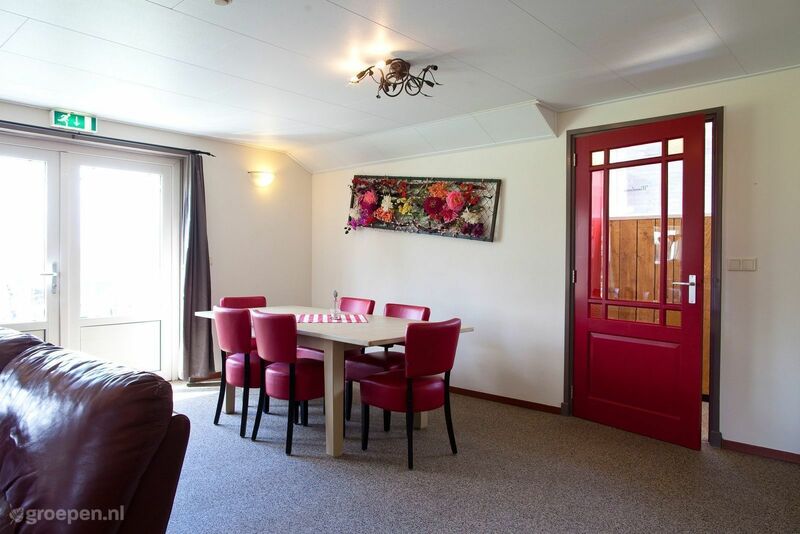 Think luxury group accommodations for a day out with the entire family or with your friends, to a group home for smaller groups. 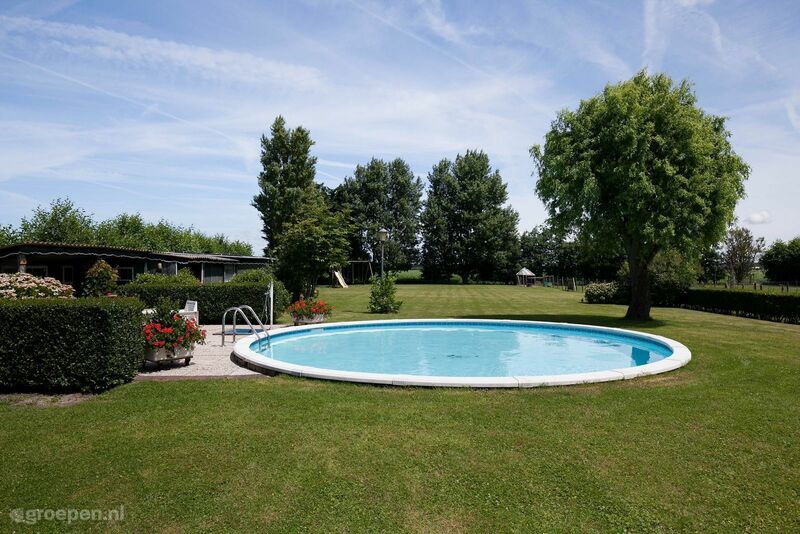 Large holiday homes with private swimming pools guarantee a relaxing stay with a lot of luxury and comfort The group accommodations are mainly in rural and natural areas, and they are detached, giving you plenty of privacy. 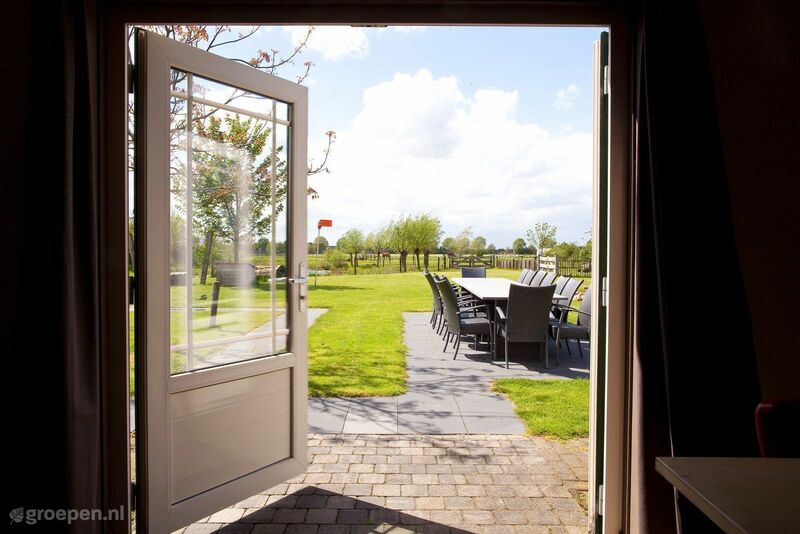 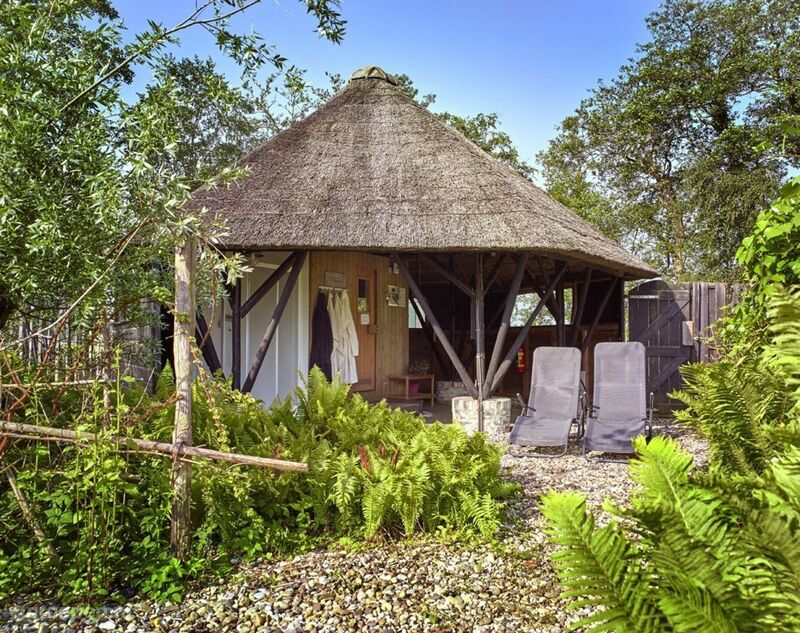 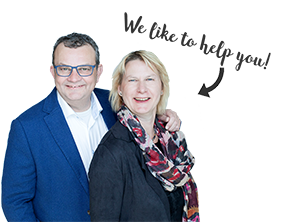 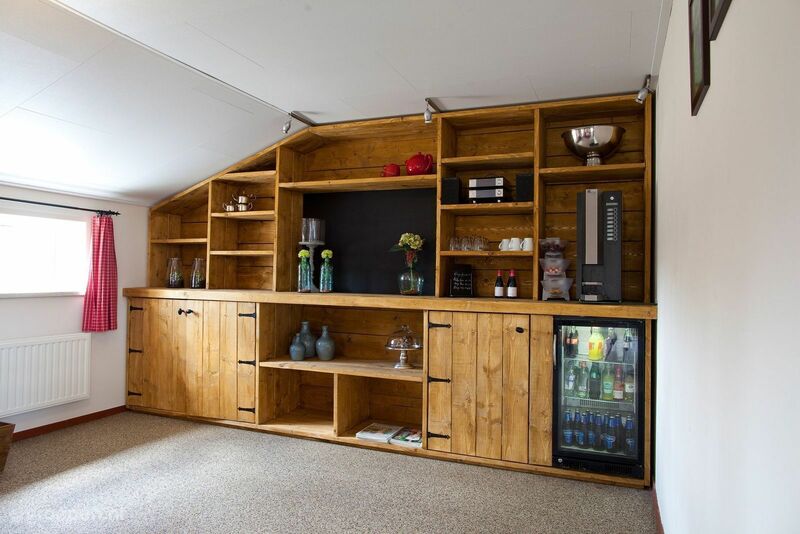 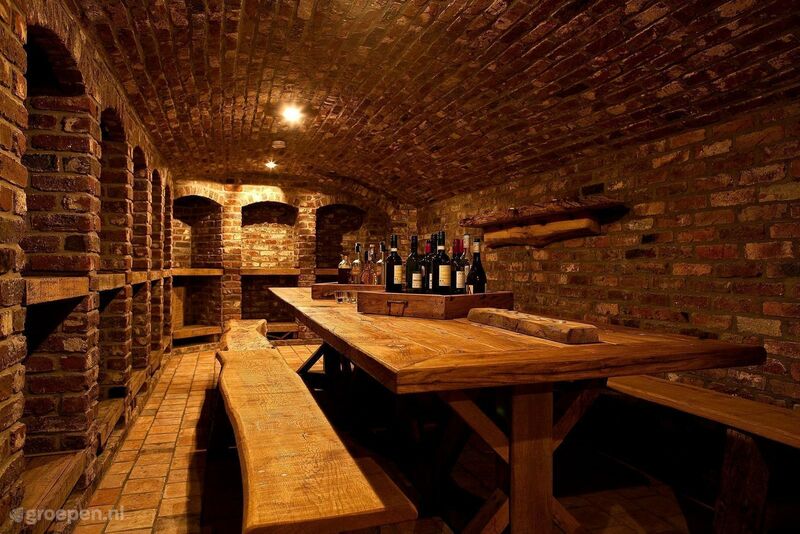 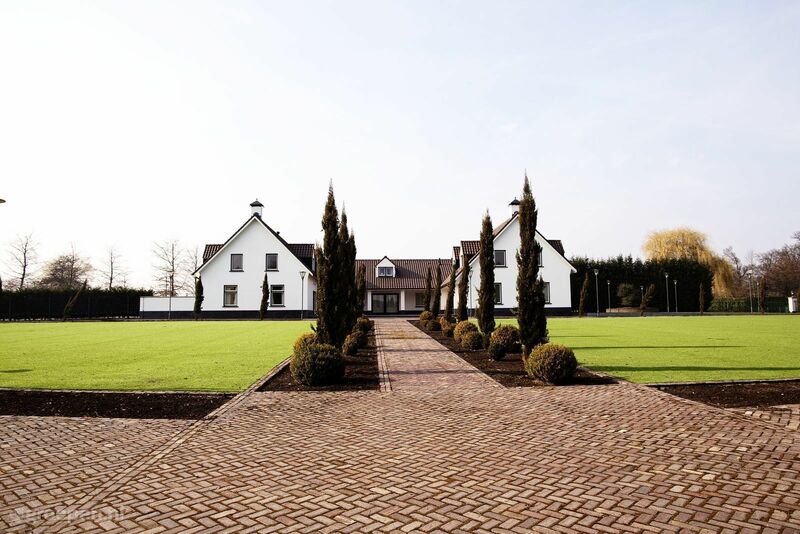 Why not spend the night in an authentic farm in Limburg, an atmospheric mansion on the Veluwe, or cross the border for a luxury villa in Belgium. 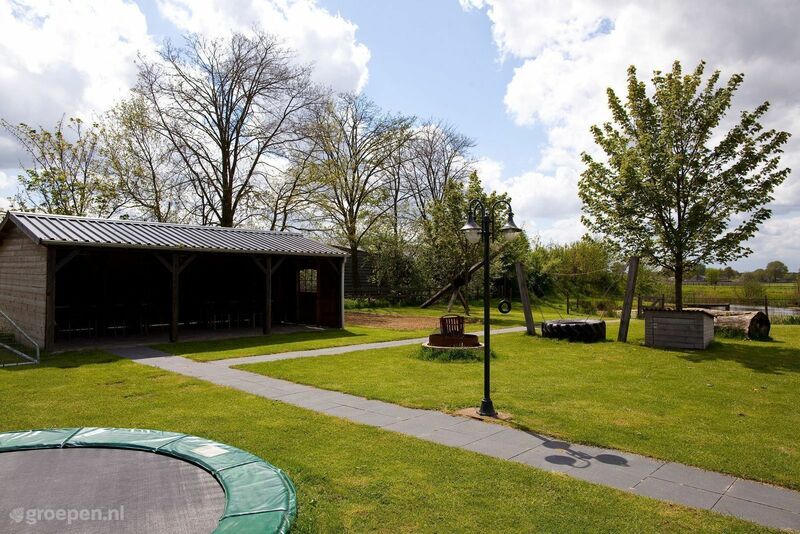 It's great to stay with the whole family in a large holiday home for groups with a private swimming pool. 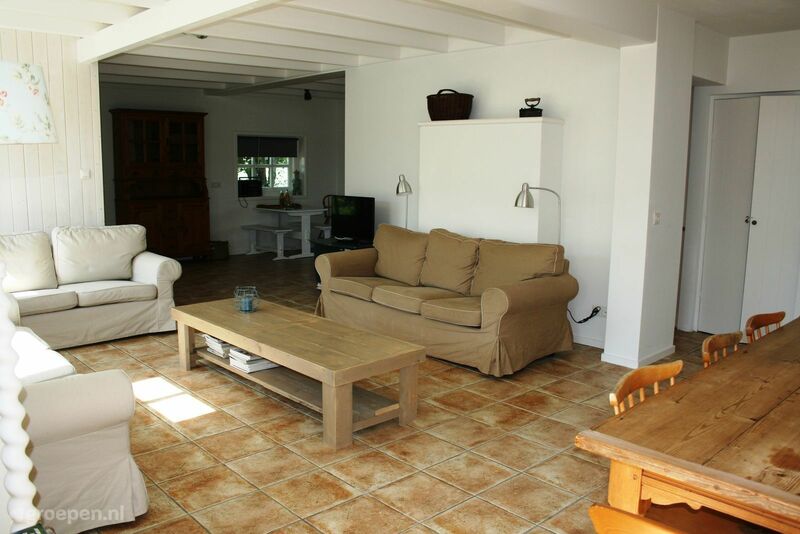 The holiday homes with private swimming pool in our selection are stylish and fully furnished. 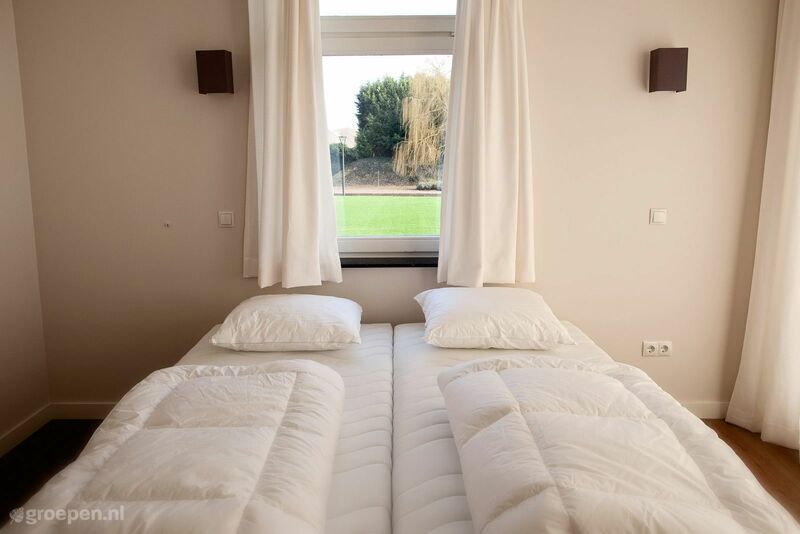 Those who want to make sure their group holiday is special, will choose for a group accommodation with private swimming pool.